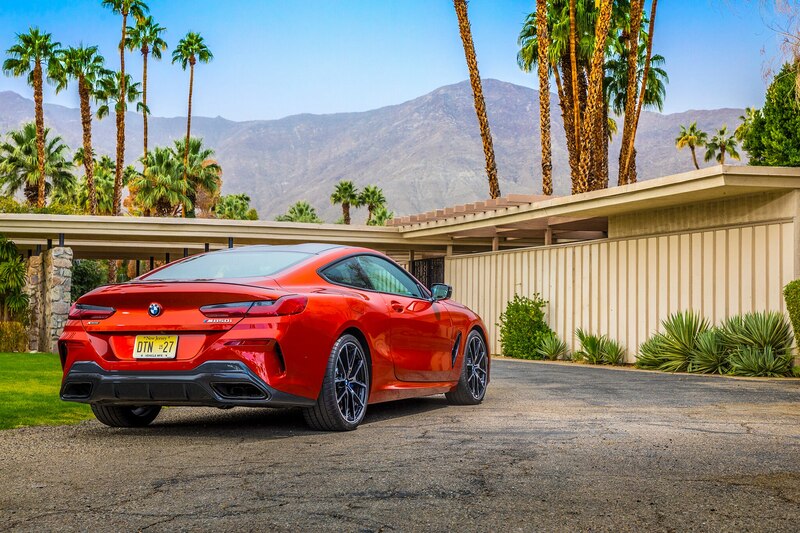 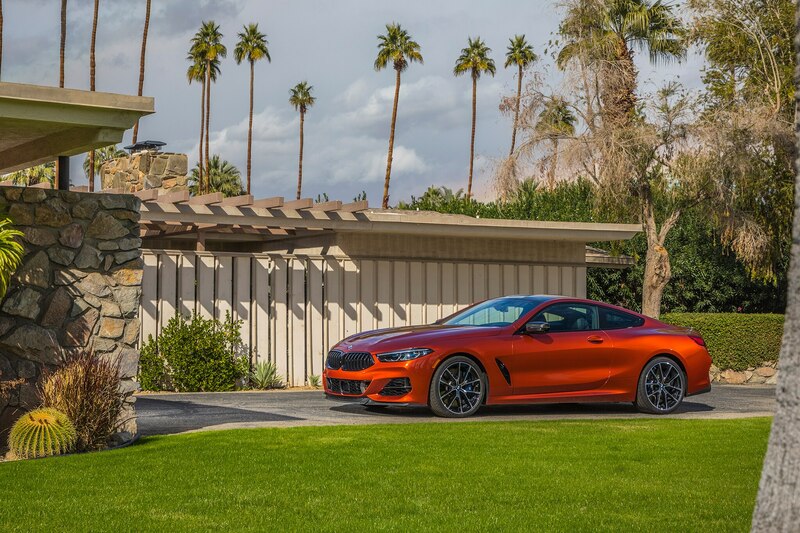 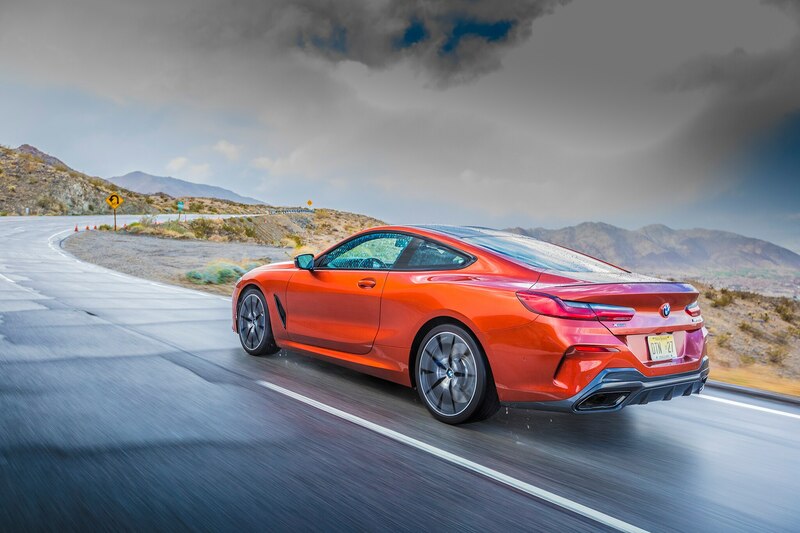 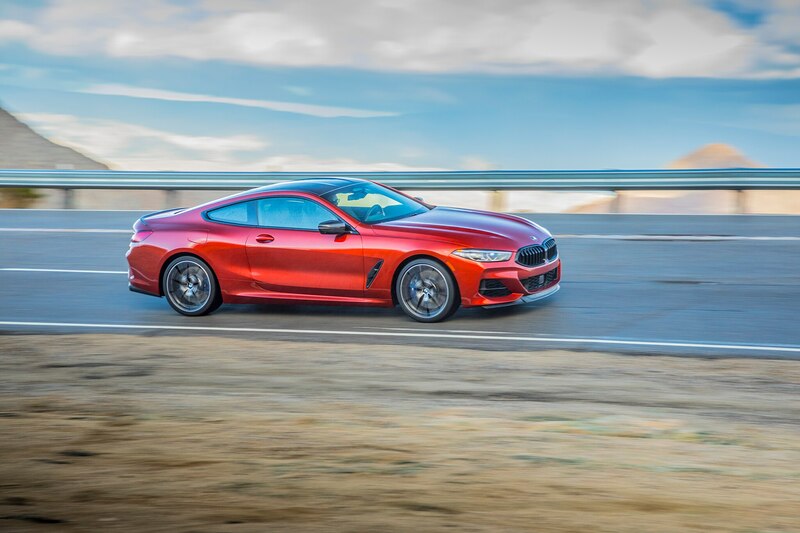 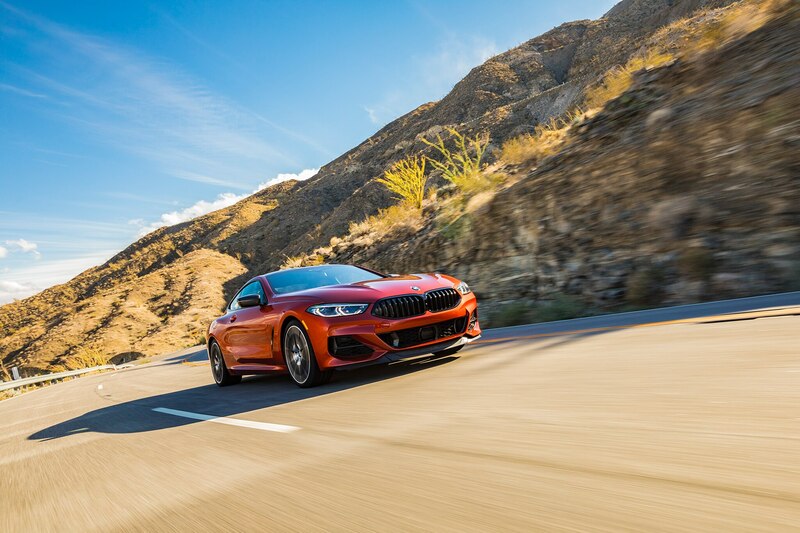 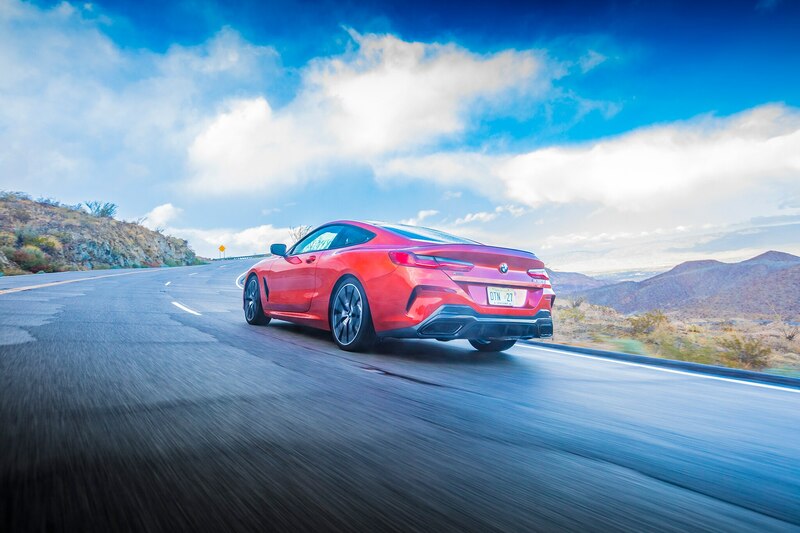 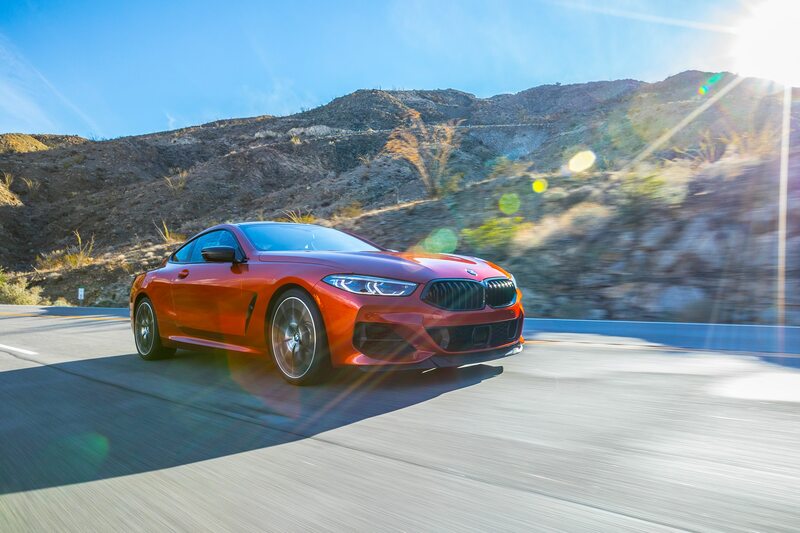 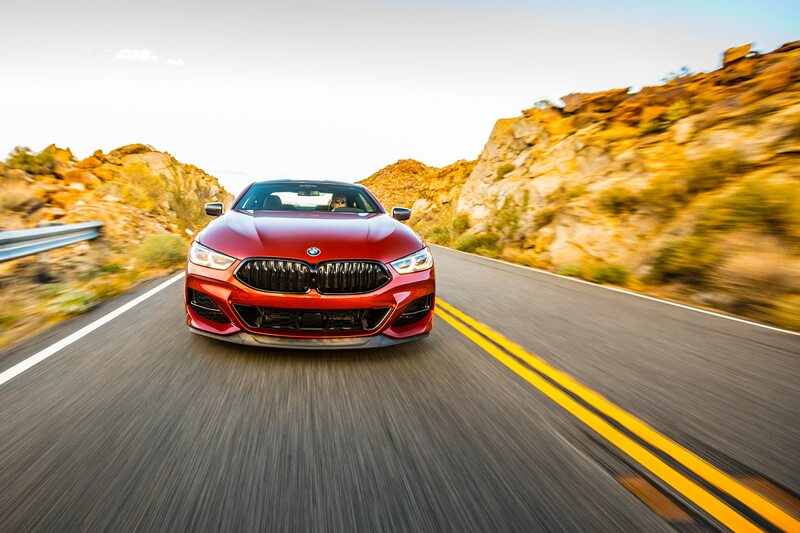 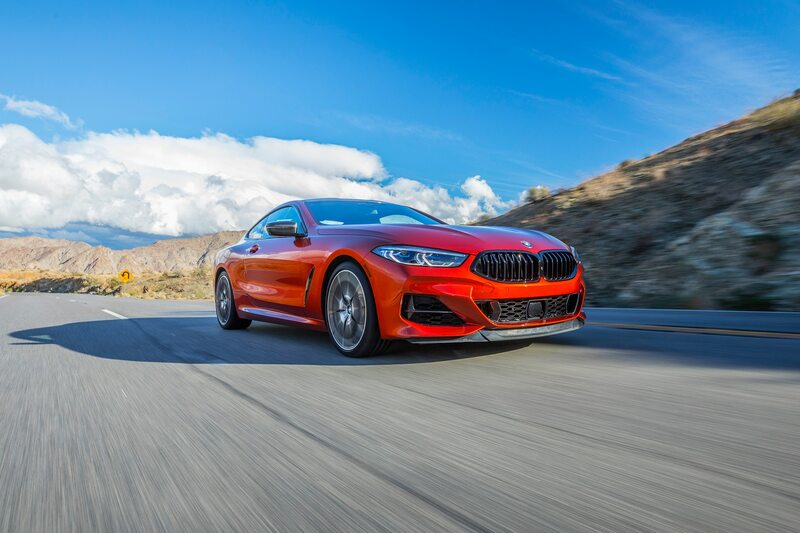 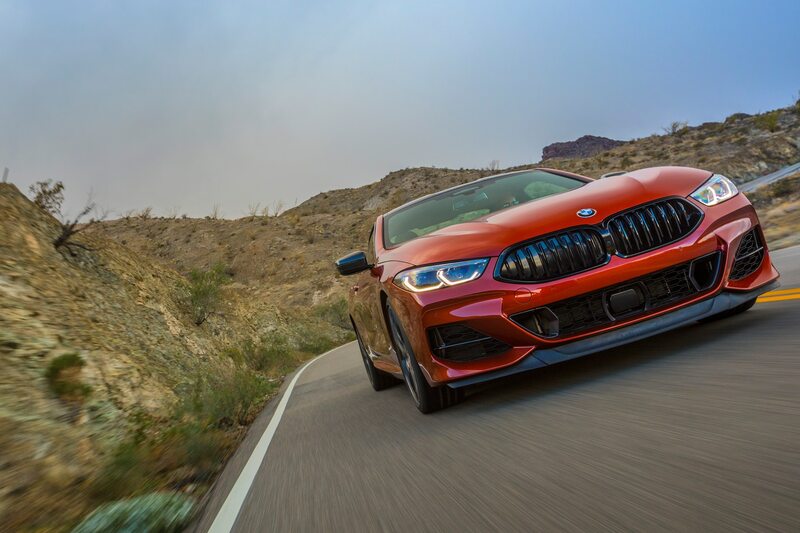 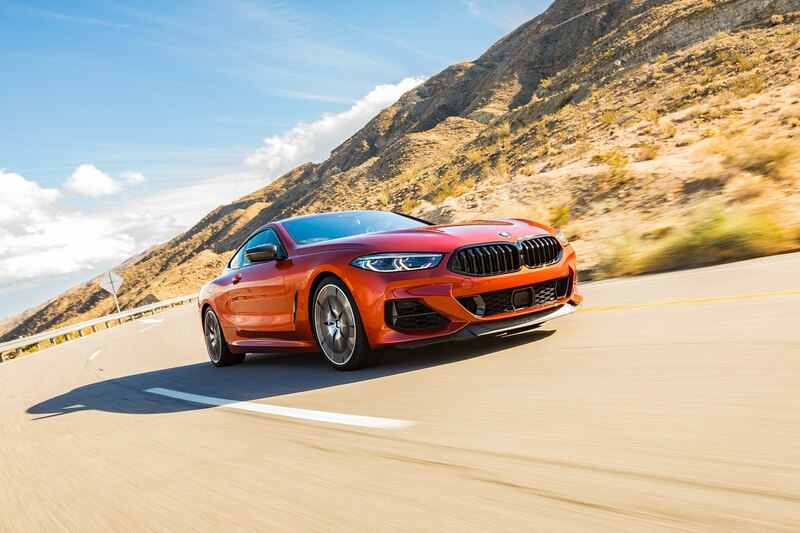 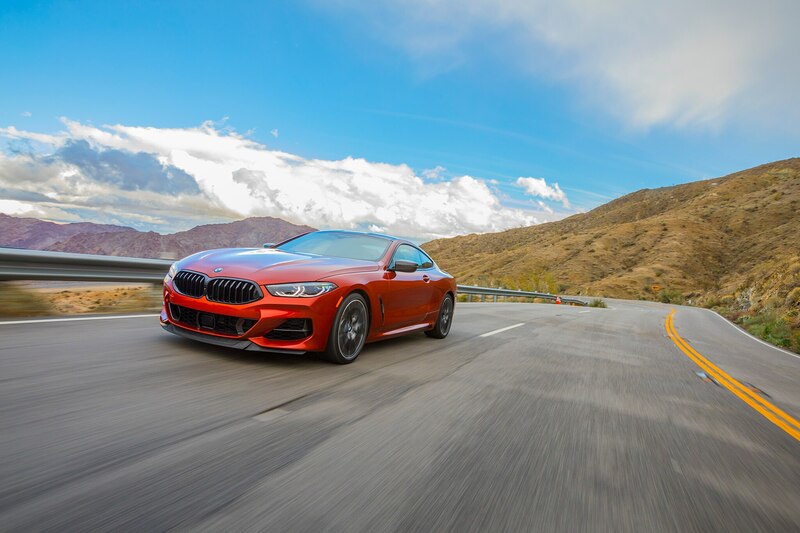 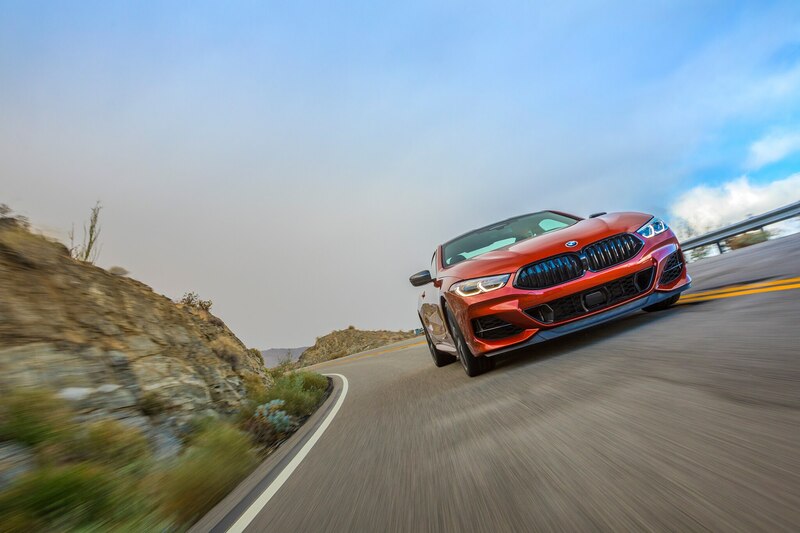 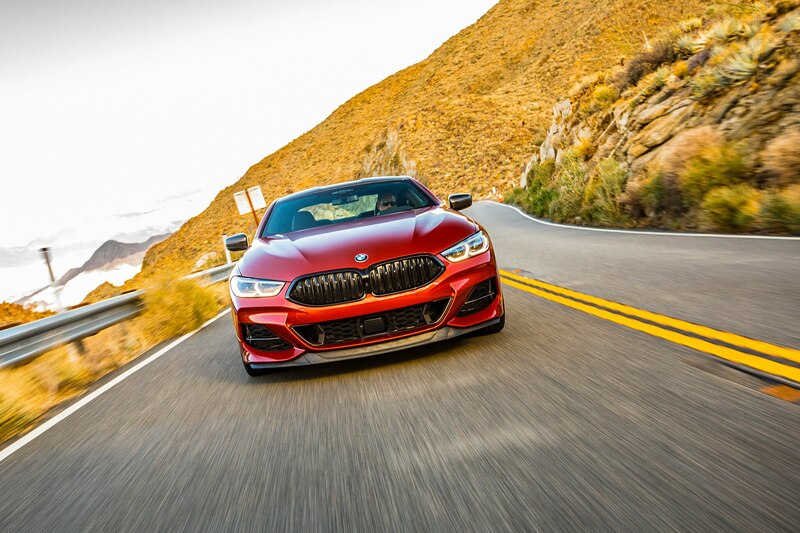 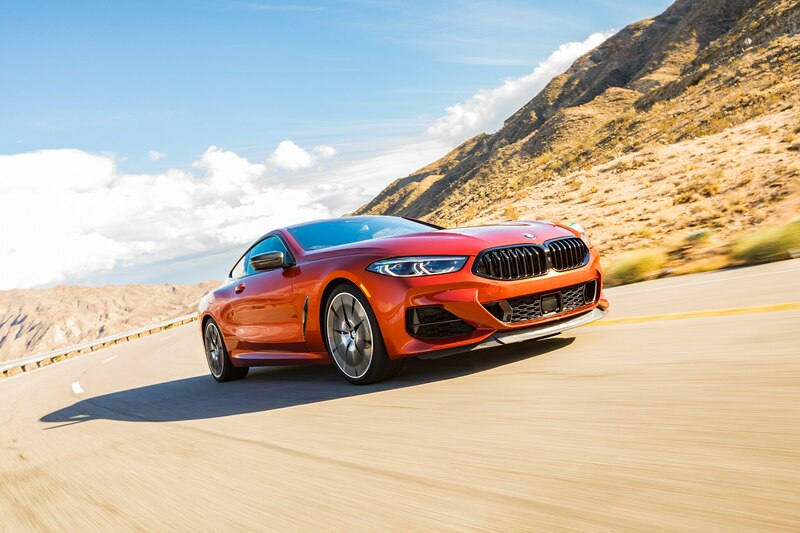 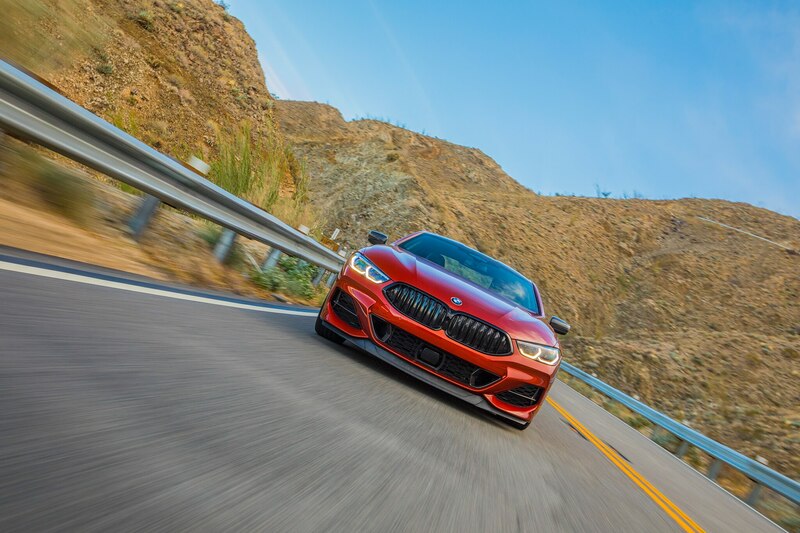 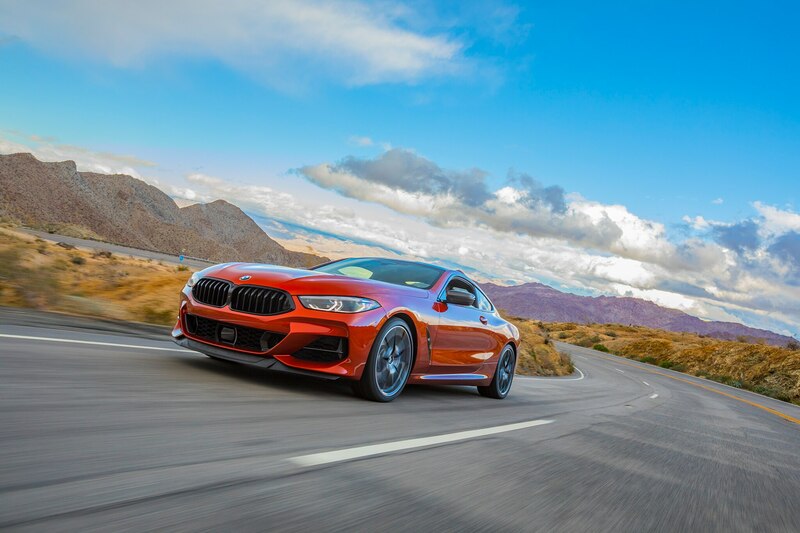 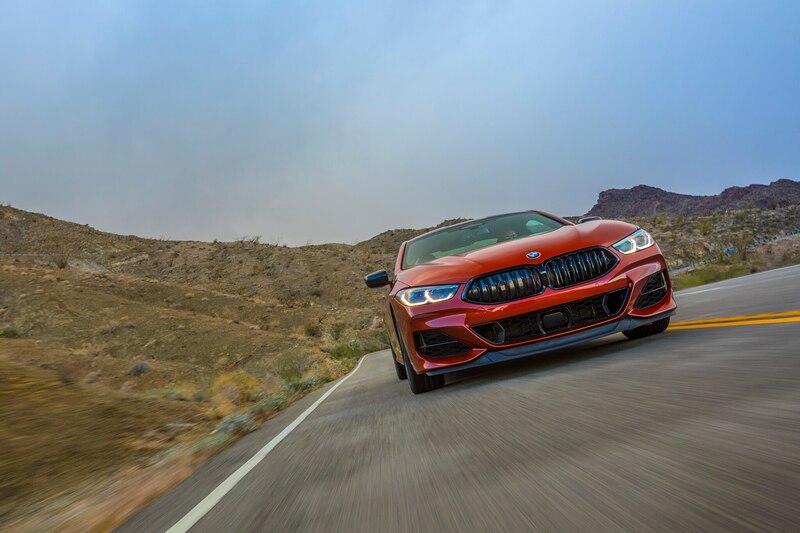 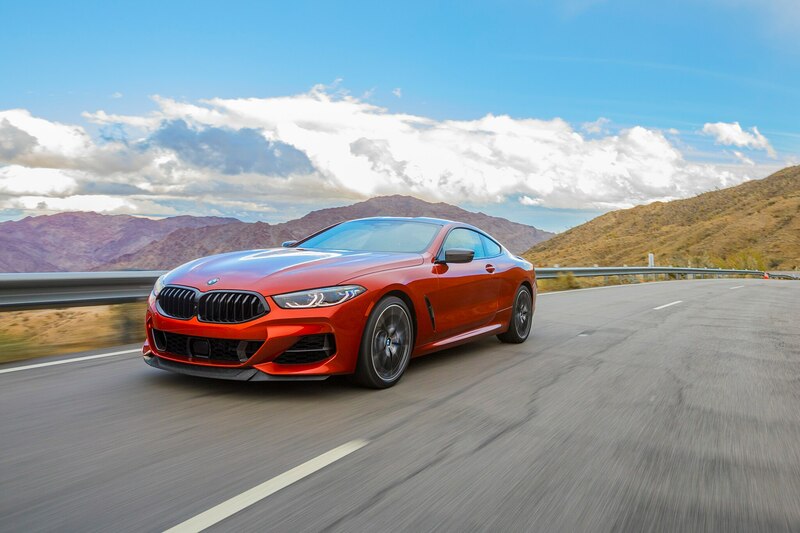 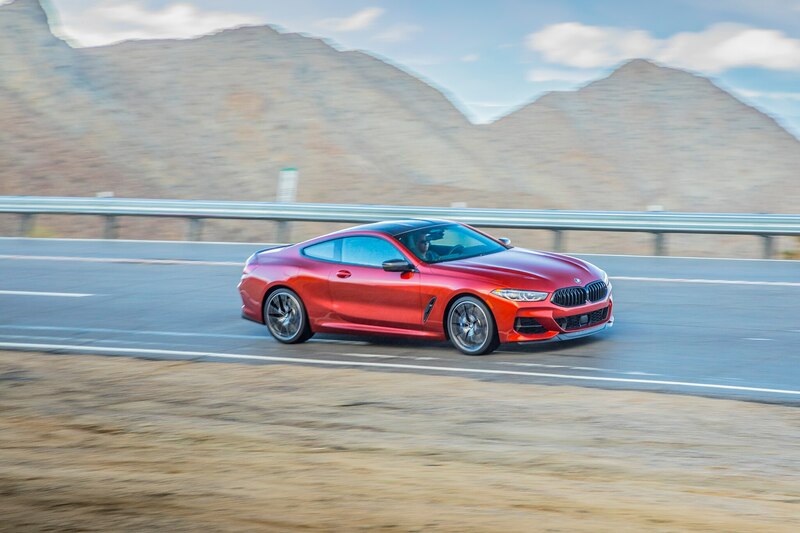 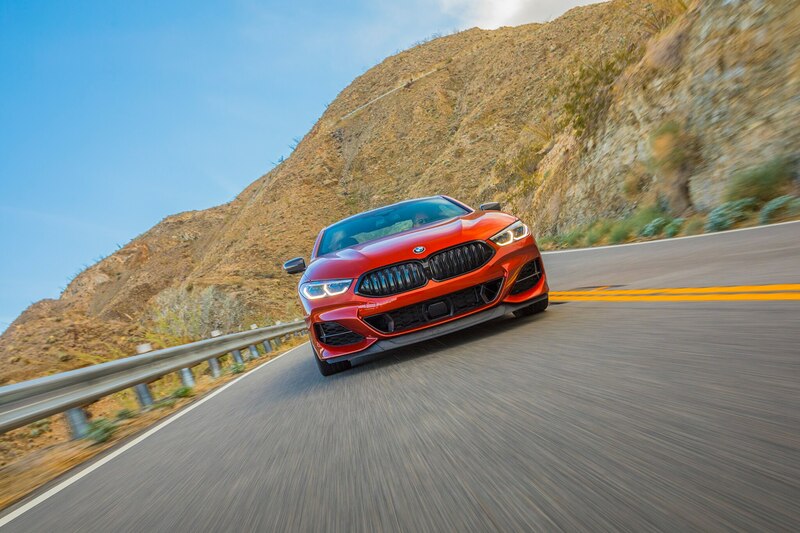 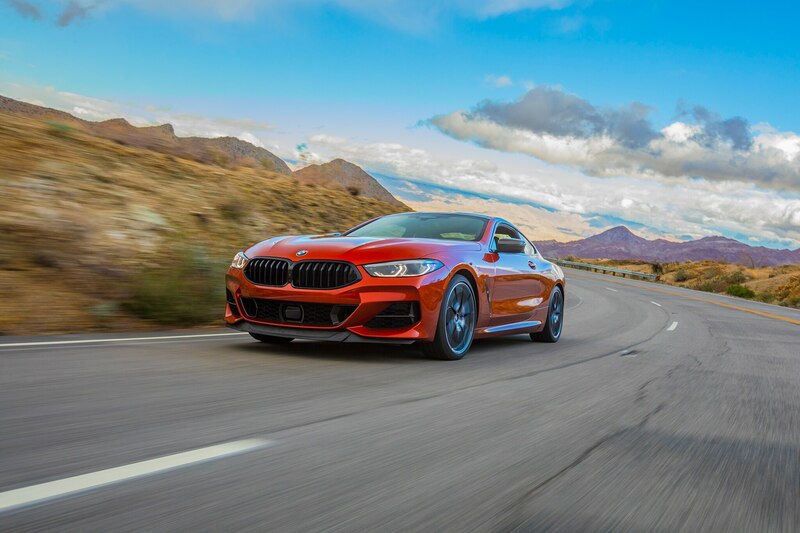 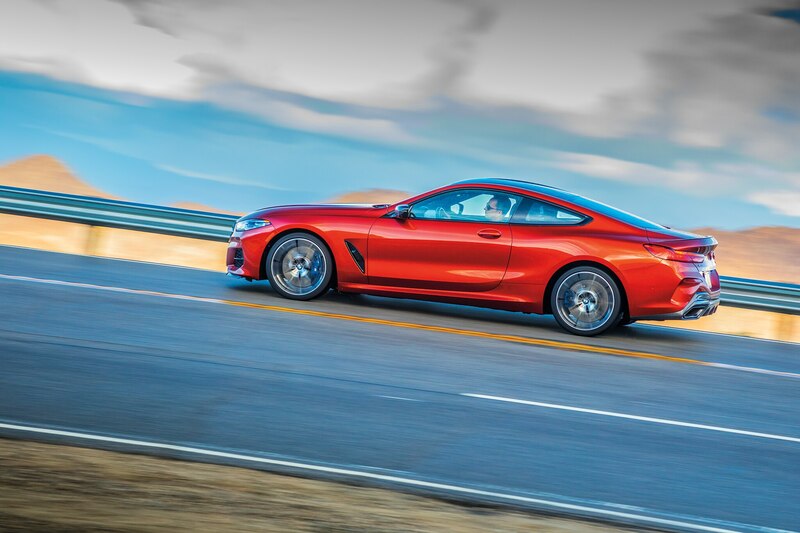 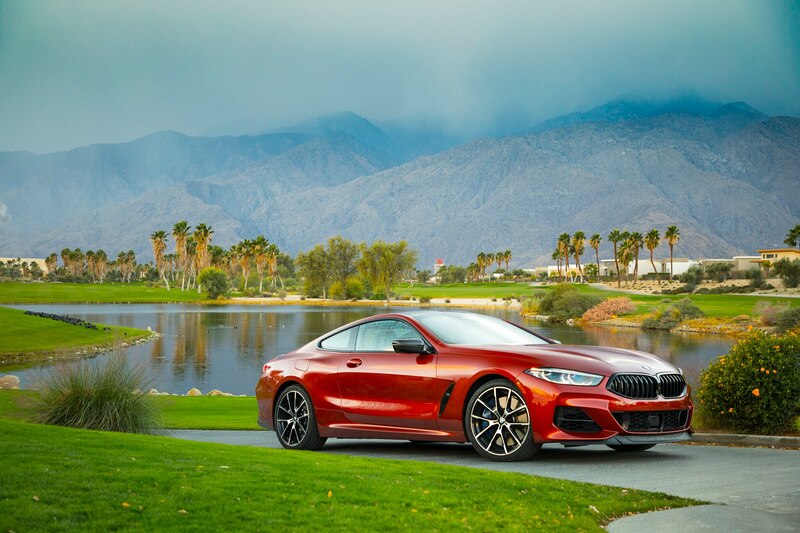 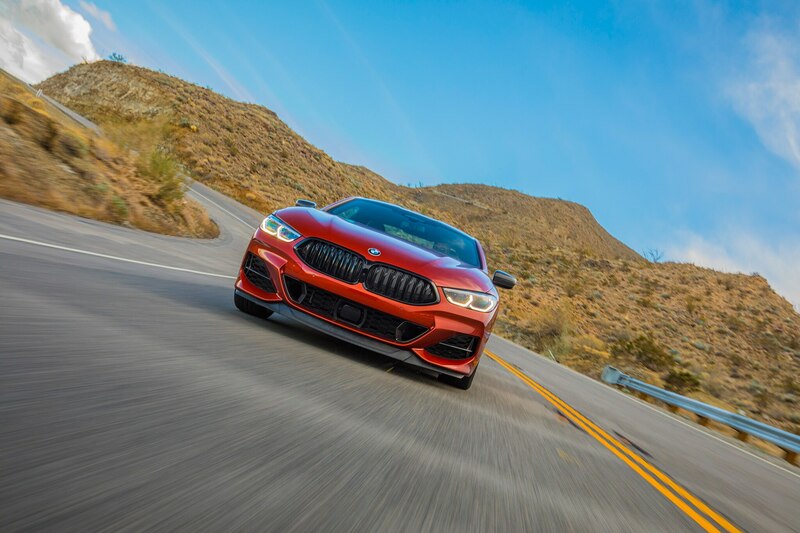 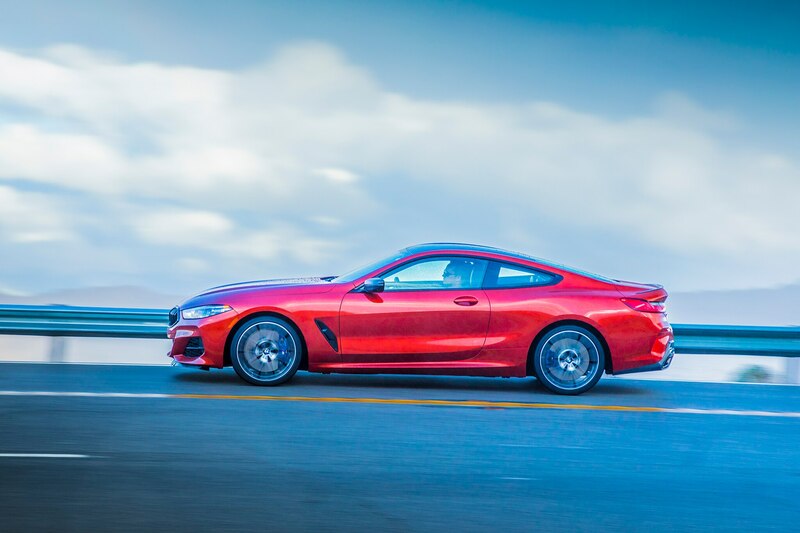 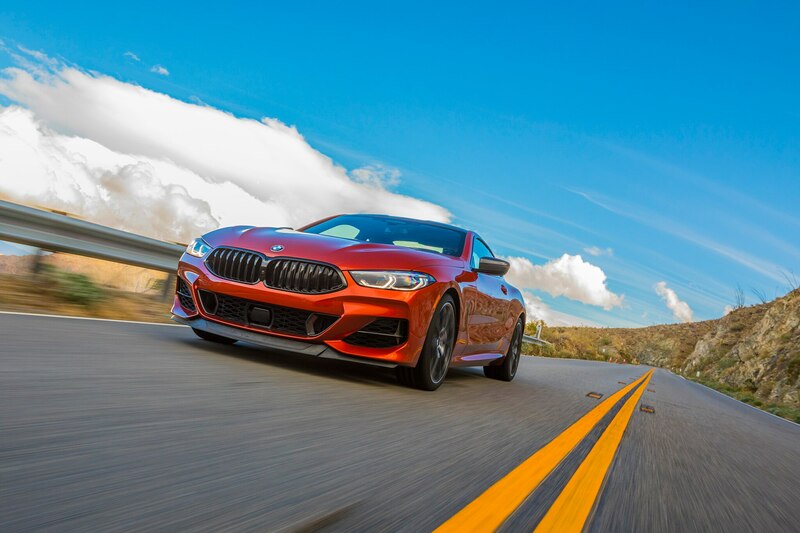 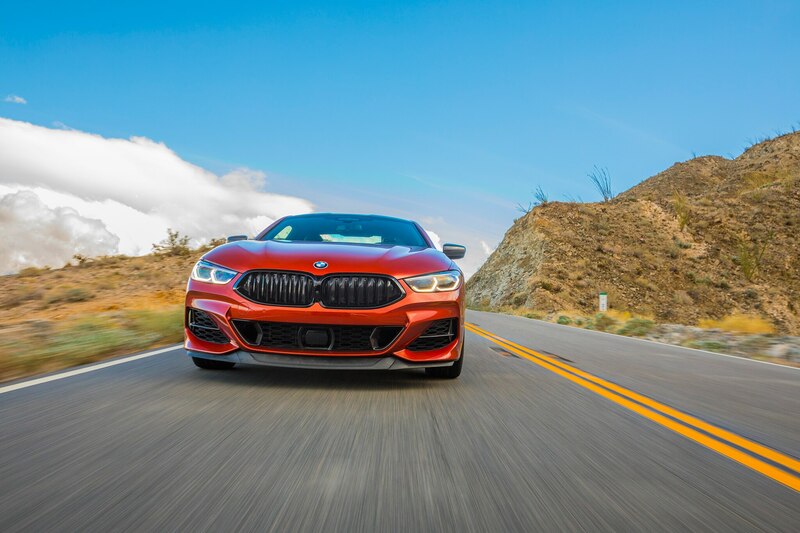 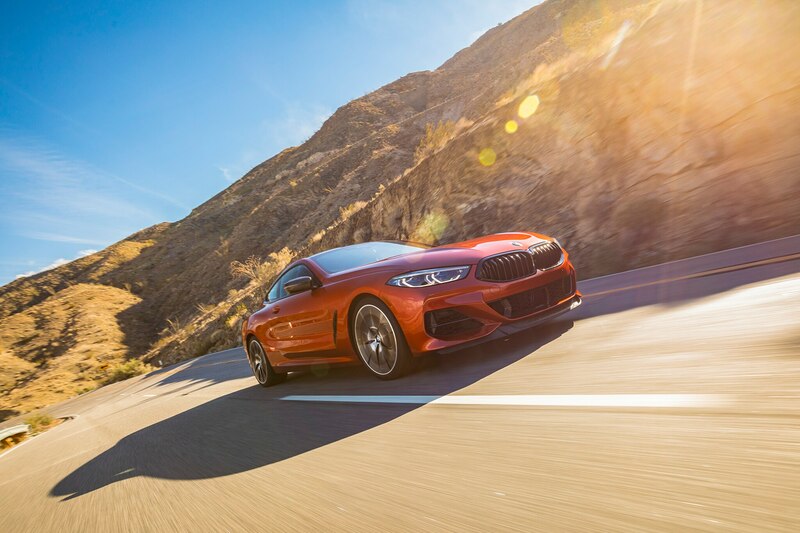 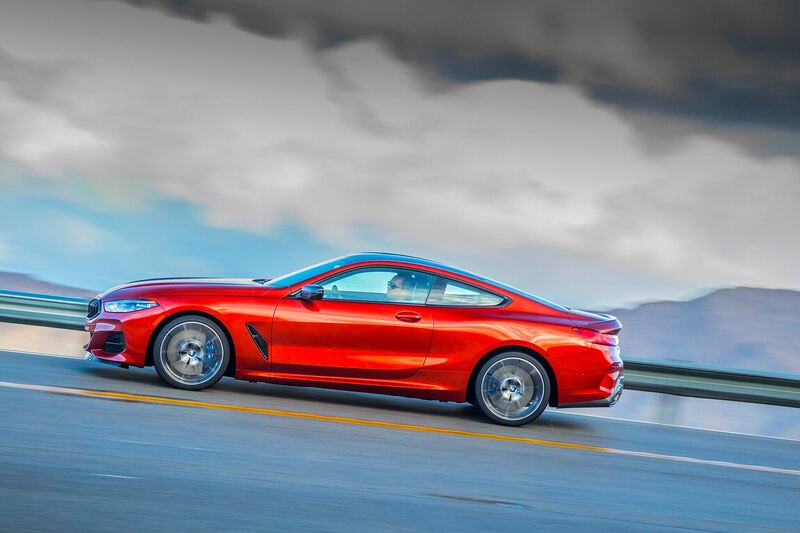 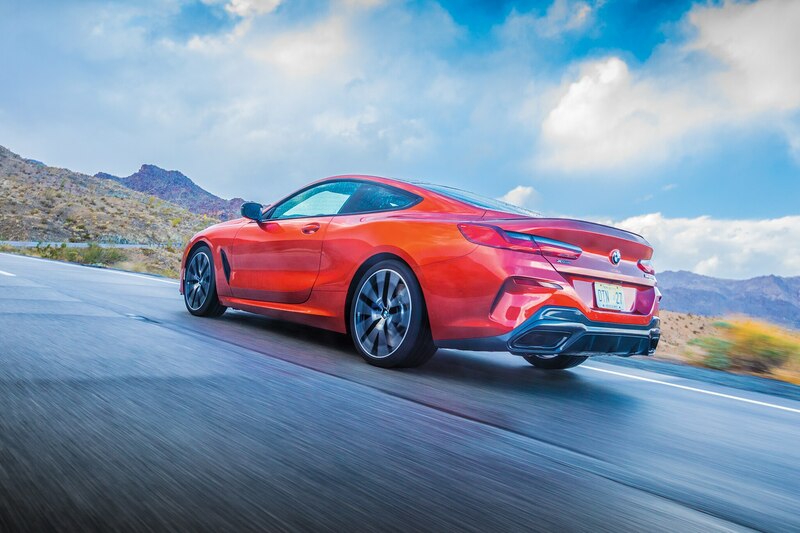 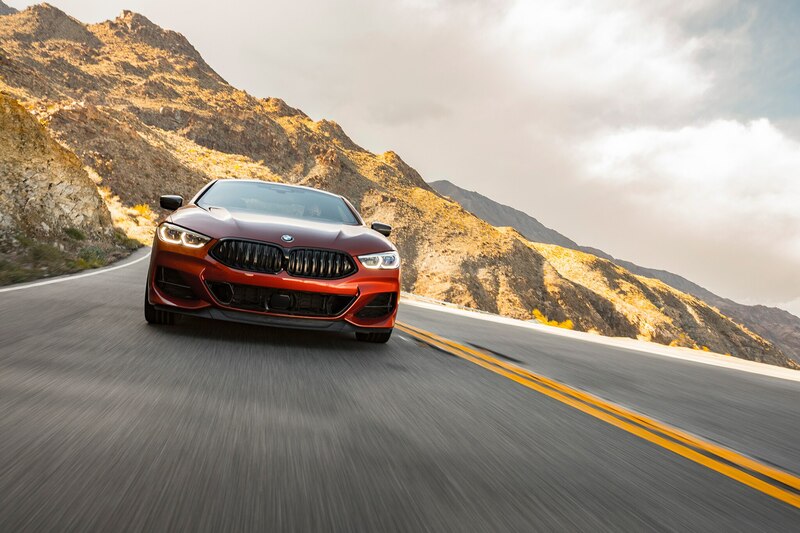 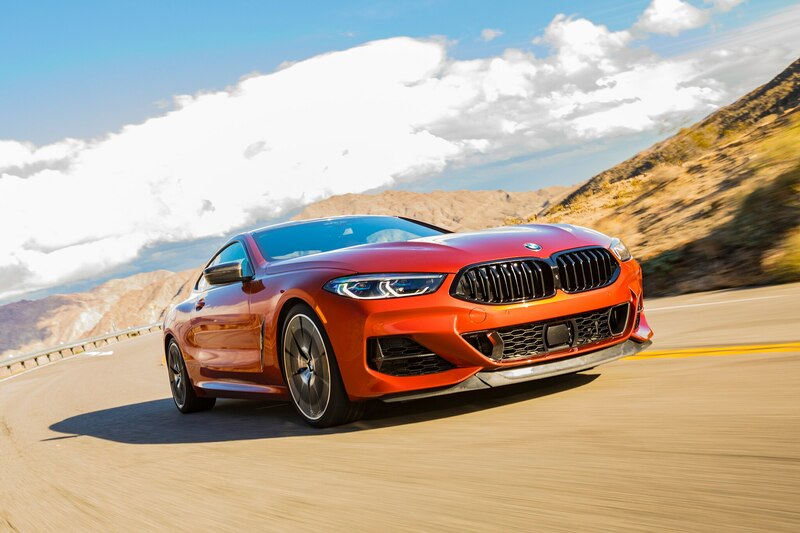 Automobile’s editors have chosen the BMW 8 Series coupe as our 2019 Design of the Year. 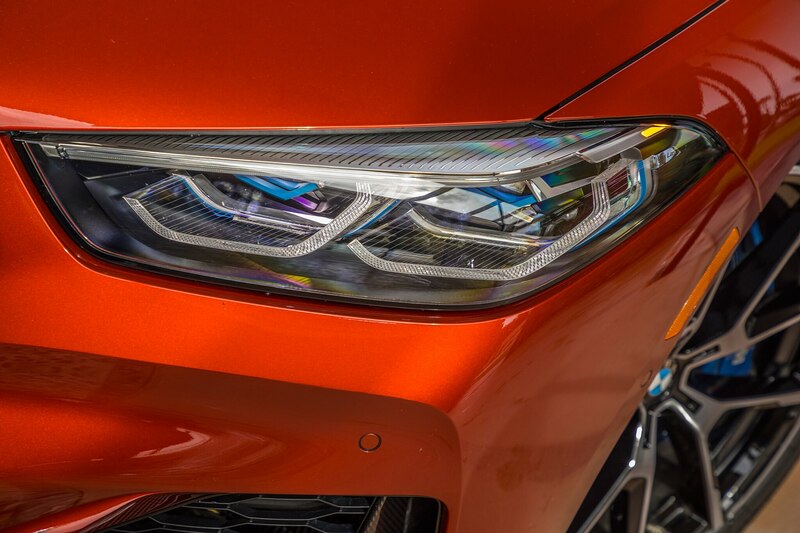 There are multiple reasons for our selection, not least of which: In a year when all manufacturers tended to focus their efforts on an industry-wide consensual design approach, concentrating sales efforts on SUVs and reducing the diversity of passenger-car designs, an in-your-face car like this stands out. 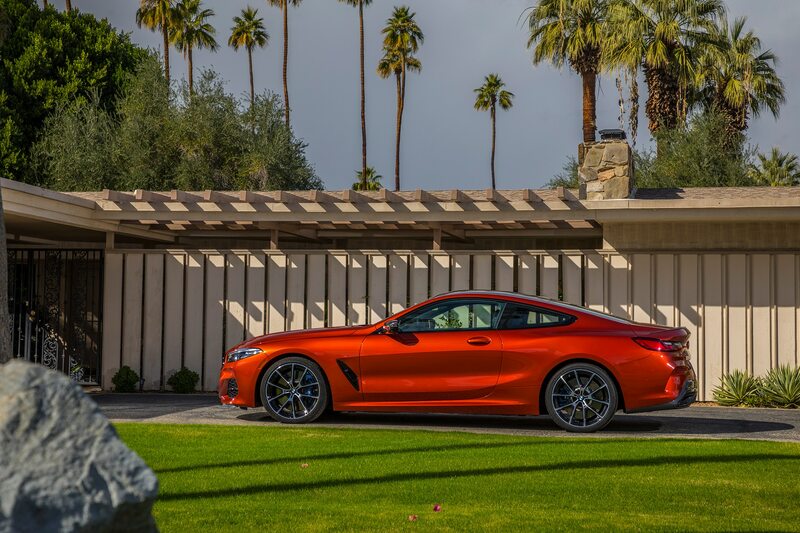 Big, powerful, stylish coupes are wonderful things, traditionally pretty much the summit of any upper-level manufacturer’s product range. 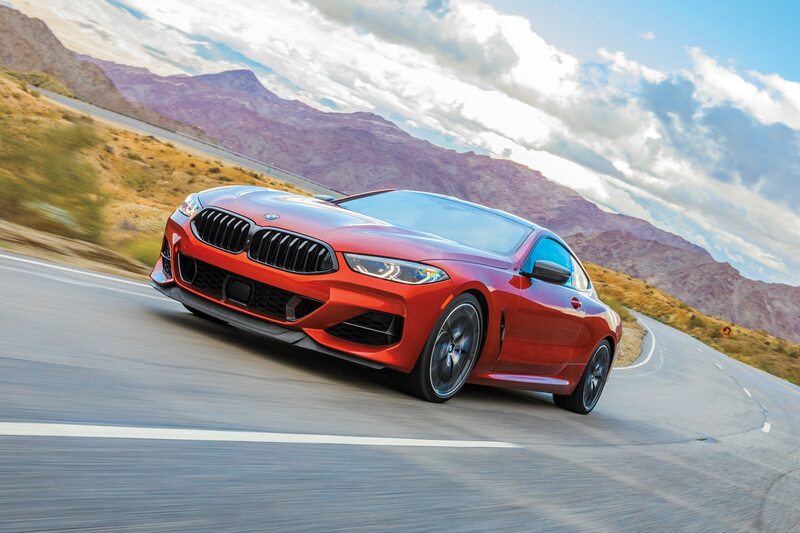 They’re even more impressive than convertibles on identical platforms because they’re always stiffer, lighter, and more crashworthy as well—not that anyone worries about such things in this market segment. 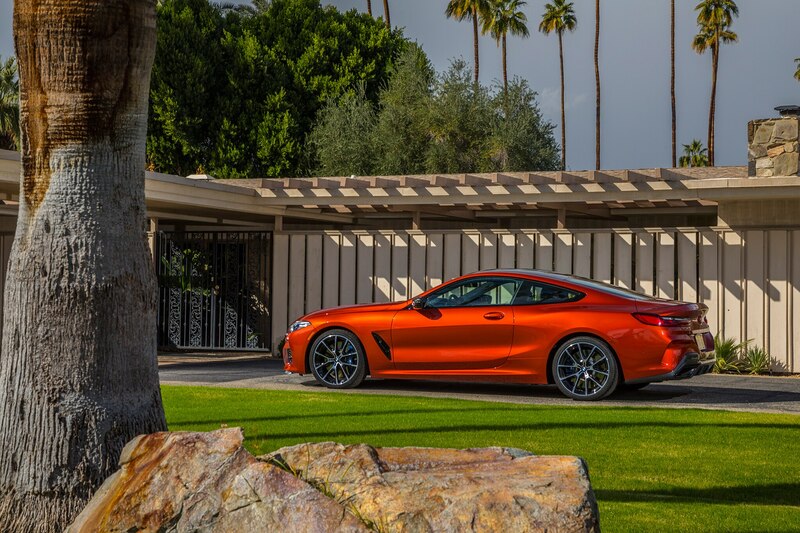 Big, powerful, stylish coupes are also slightly puzzling. 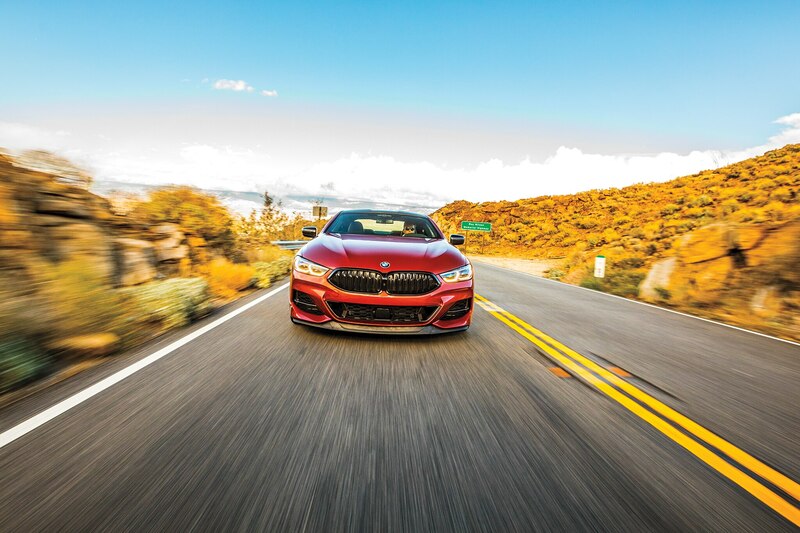 They’re not usually space-efficient, their rear seats are not often particularly comfortable, and luggage capacity is typically inferior to that of same-size sedans. 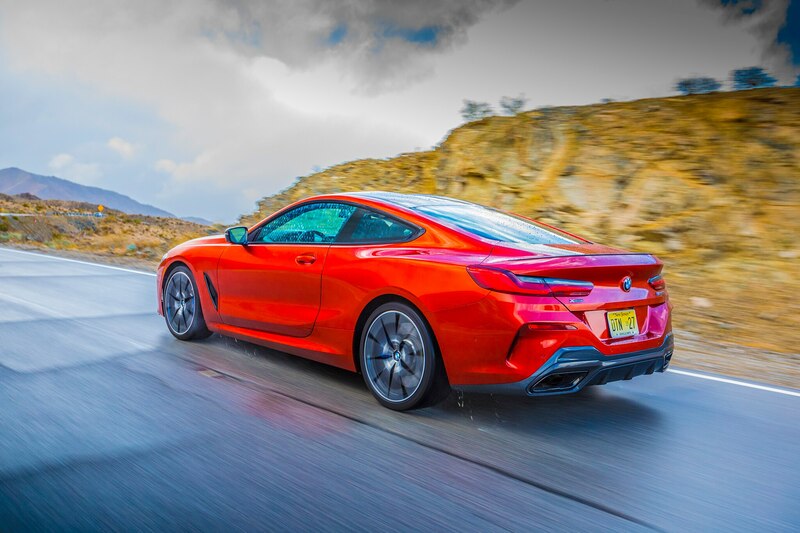 But of course neither superior efficiency nor comfort is key to why big coupes appeal so much to enthusiasts and the overall market. 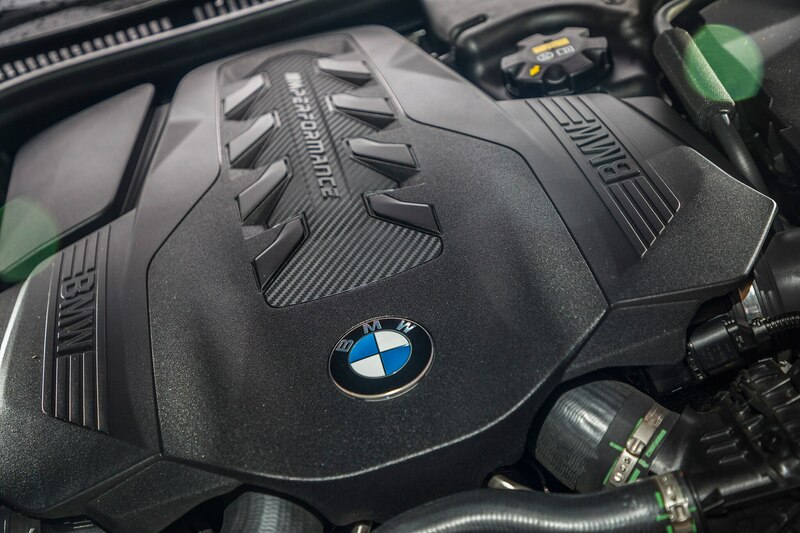 Nor is the superior, but definitely not ultimate, performance capability they often possess. 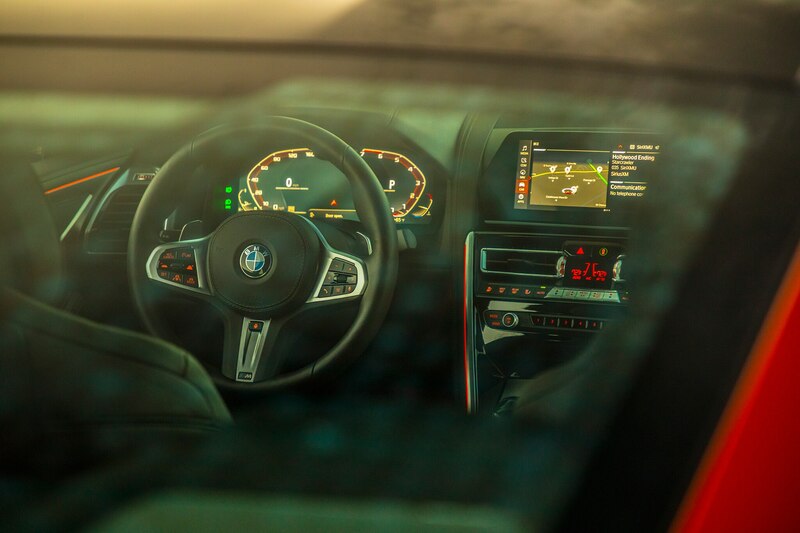 Their desirability is not based on objective, measurable characteristics but derives from psychological and social considerations that go beyond matters of driving dynamics. 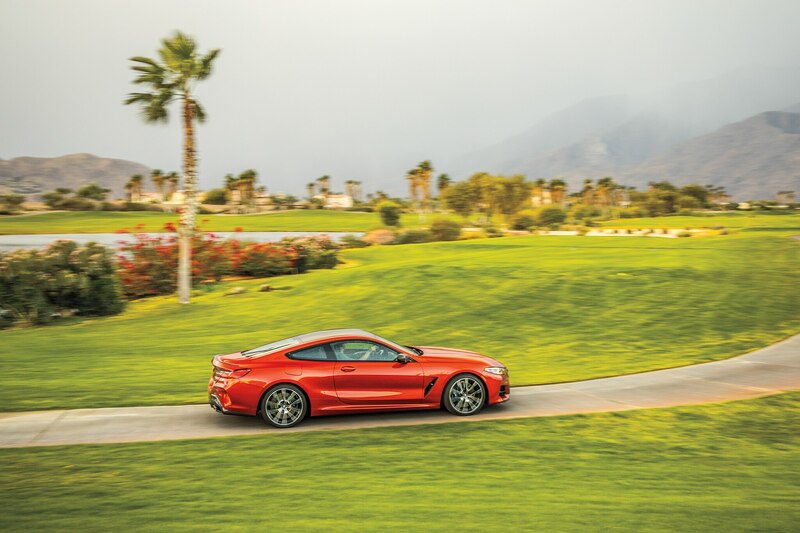 There is almost always a car in the same maker’s catalog that’s faster, more agile, and more capable on a winding road or racetrack. 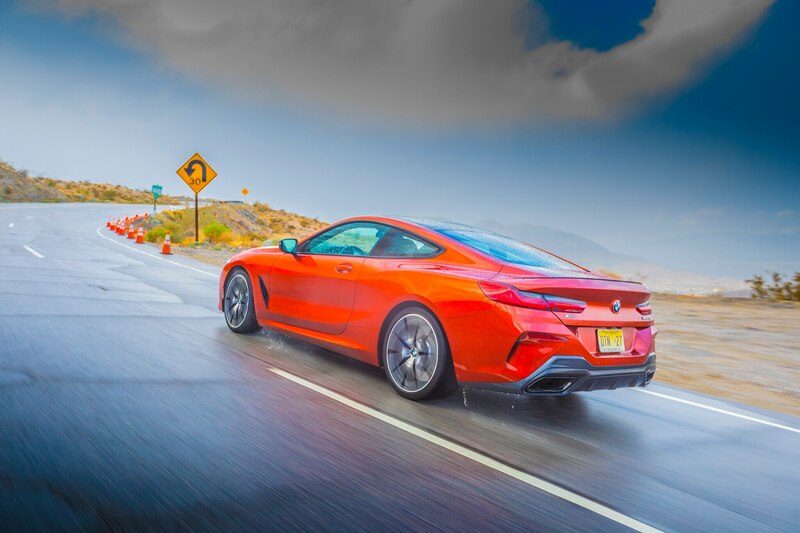 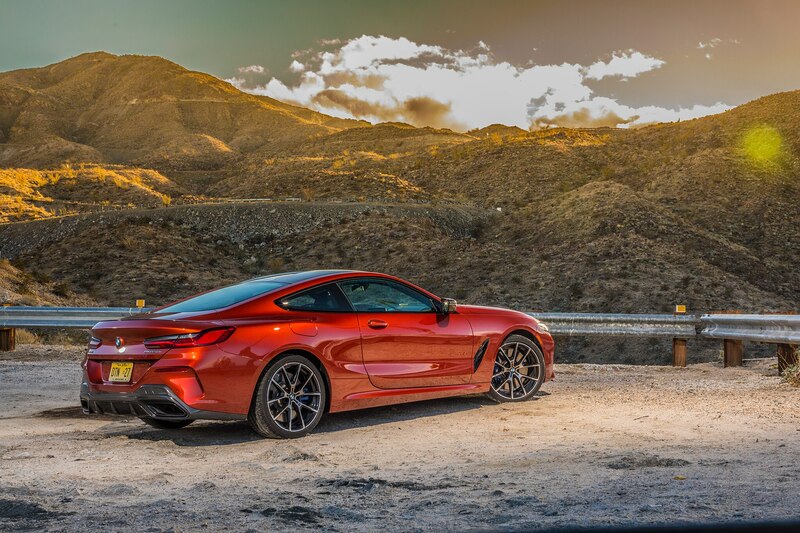 So why do cars like this BMW 8 Series coupe—or the Mercedes-Benz S-class coupes, or the Buick Riviera, Lincoln Continental, and Oldsmobile Toronado coupes of yesteryear—even exist? 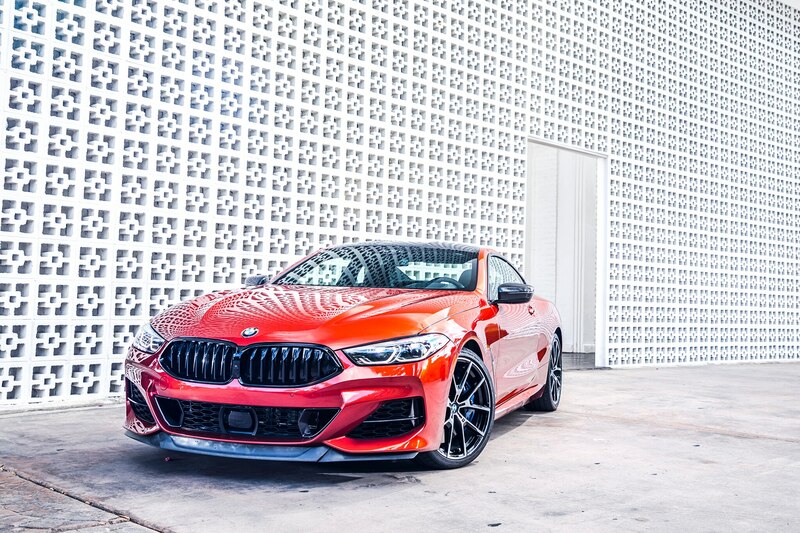 They are expensive to tool, having no body panels in common with lesser cars, they often demand complex and expensive special mechanical components, and they are almost never sold in numbers big enough to justify the investment required to create them in the first place. 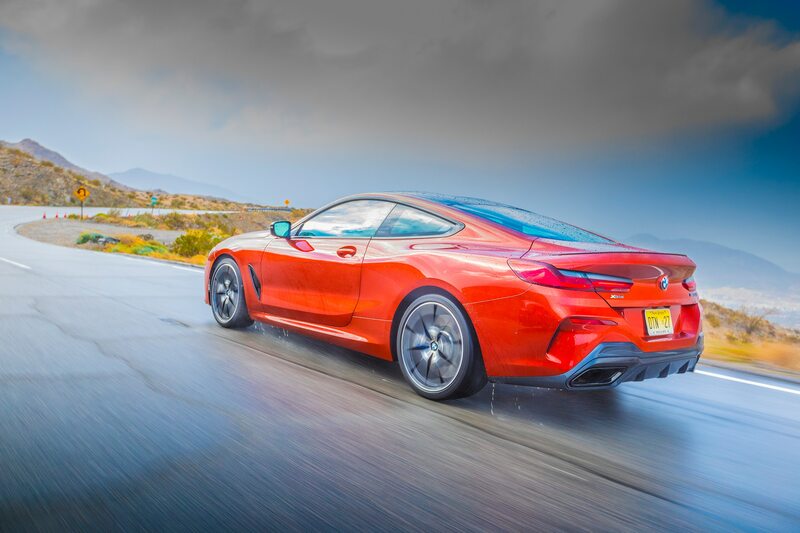 Big, powerful, stylish coupes are wonderful things. 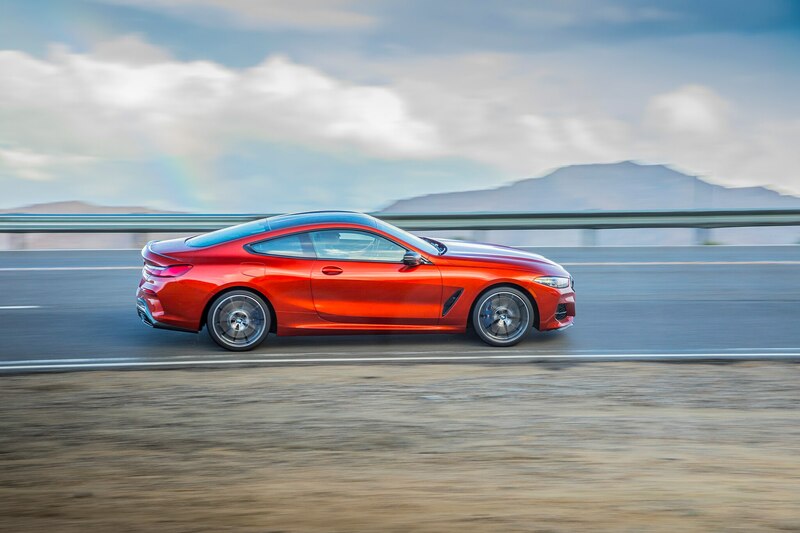 People outside the automotive industry find it hard to understand why a company would make a major commitment to a product that will never make a direct cash profit, but it happens commonly for important and perfectly rational reasons. 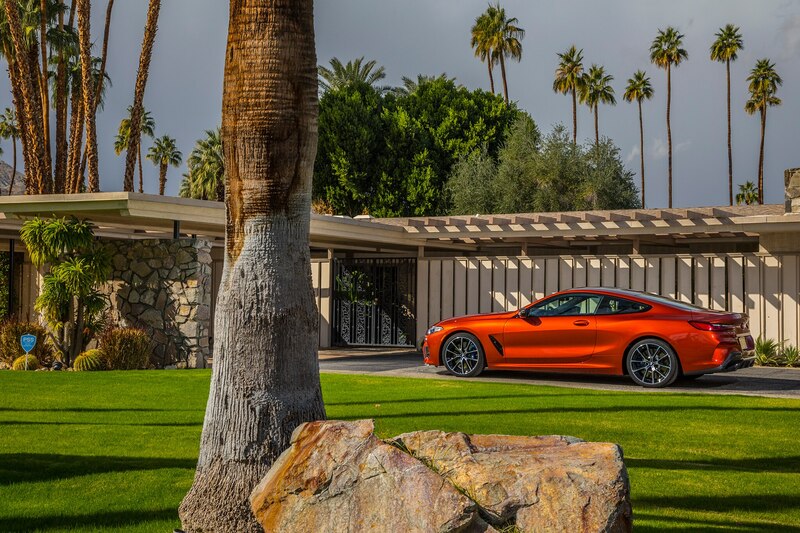 Do you think those big Japanese limousines with engines that never saw a mass-production line or the Russian ZiL and Chinese Red Flag state cars ever earned a penny, no matter how long they stayed in “production”? 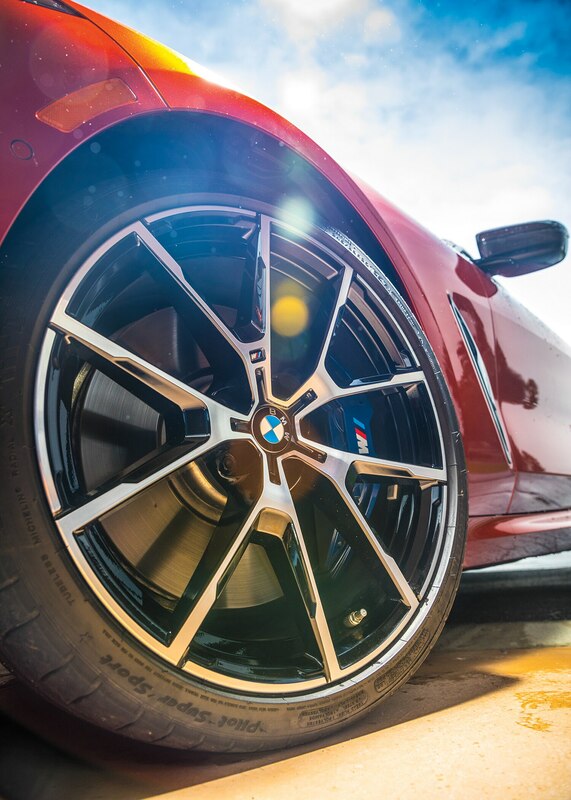 It’s a matter of prestige, pride, and providing something for bosses to use as well as having a respectable high-style range-topper. 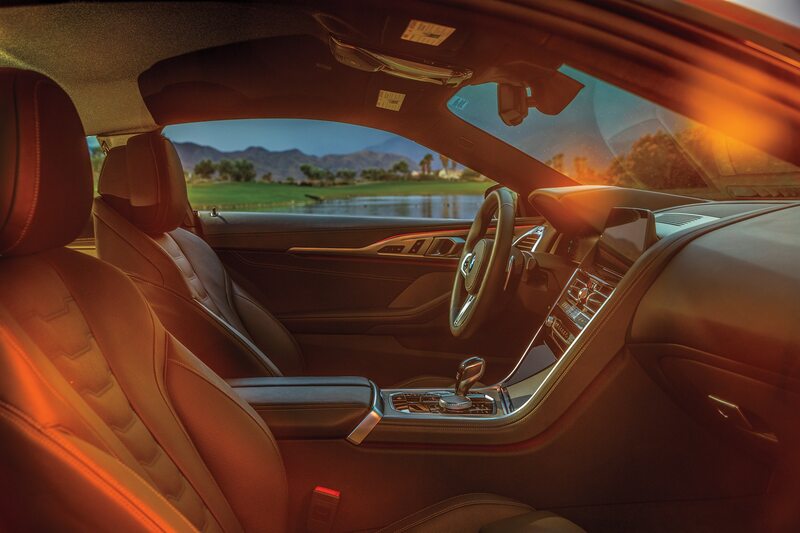 It might look large and imposing in photos, but the new 8 Series is smaller than you’d think—something you won’t notice in the spacious front row but is immediately apparent should you attempt to use its +2 rear seats. 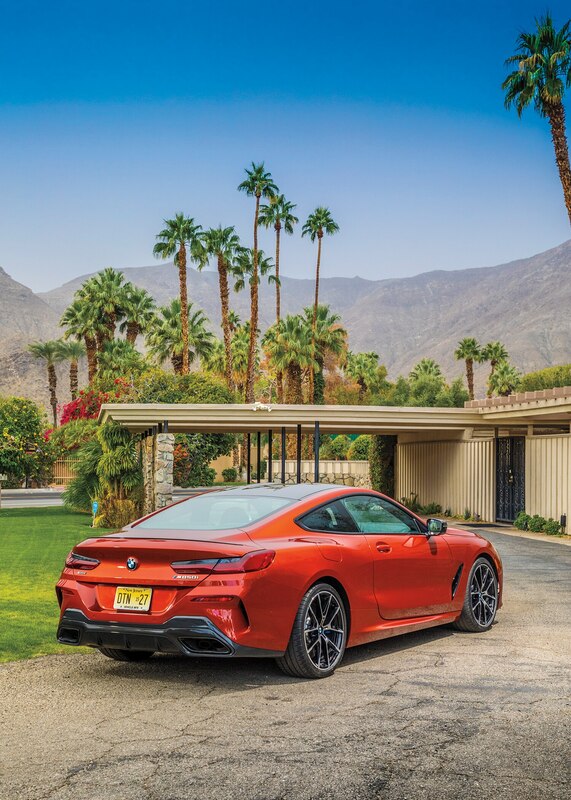 Ignoring the midlife-crisis exotic sports and supercars beloved by middle-aged men who are beginning to sense their own mortality, there are two kinds of cars people want—maybe even need—for arriving somewhere significant. 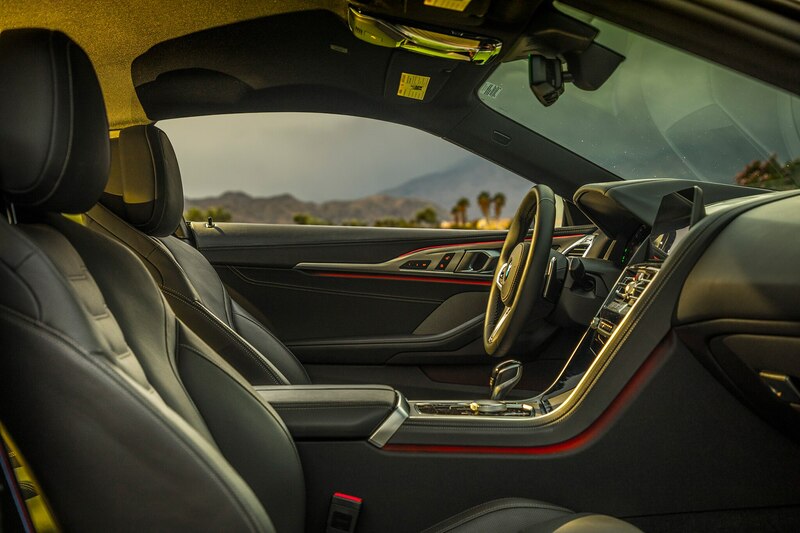 If you are being conveyed to an important social event, you want a chauffeur to manage your limousine. 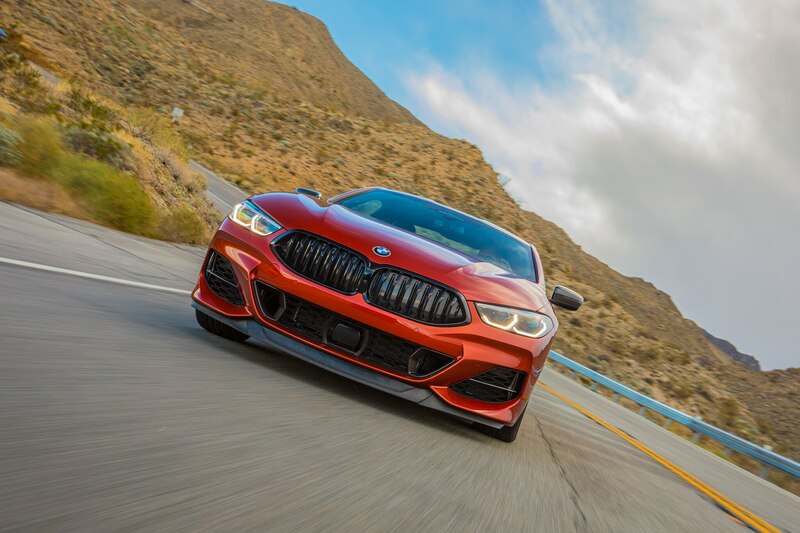 That’s why long-wheelbase, servant-driven vehicles are so important in burgeoning markets like China, where cars in large numbers have been around for only a relatively short time. 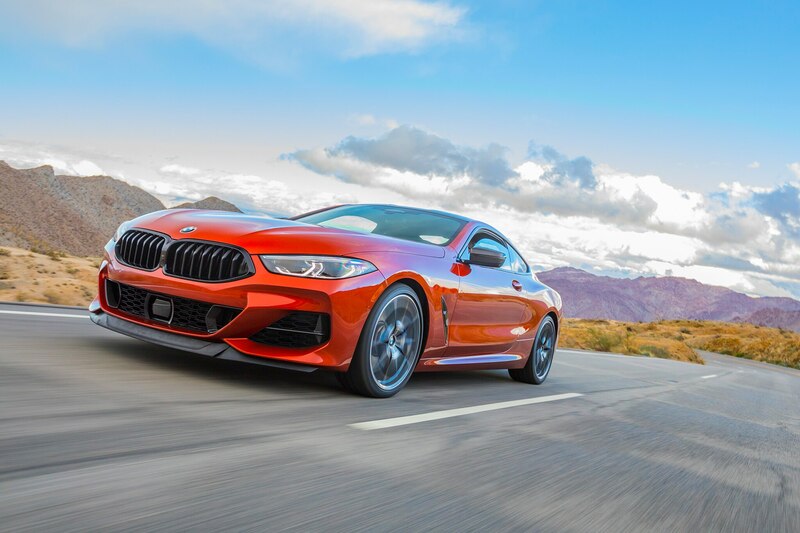 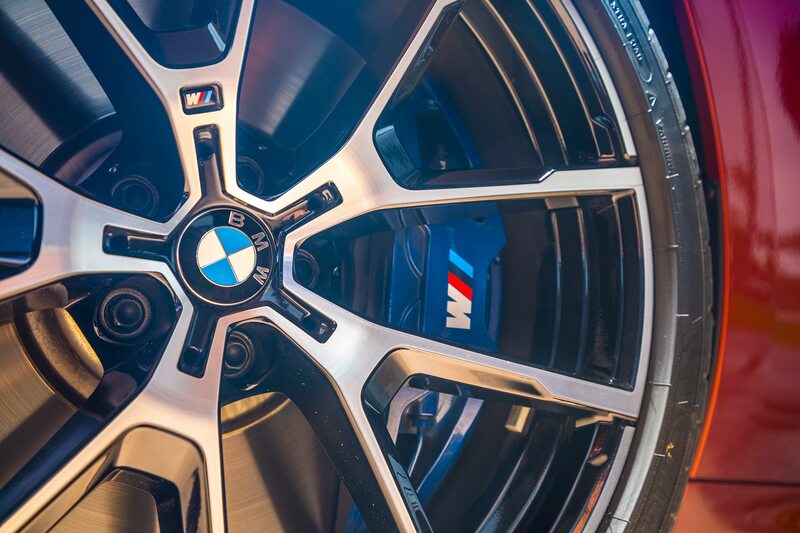 But if you’re in a country where automobiles have been part of the social fabric for many decades and you drive yourself, what you need is exactly what this BMW and its limited range of rivals offer. 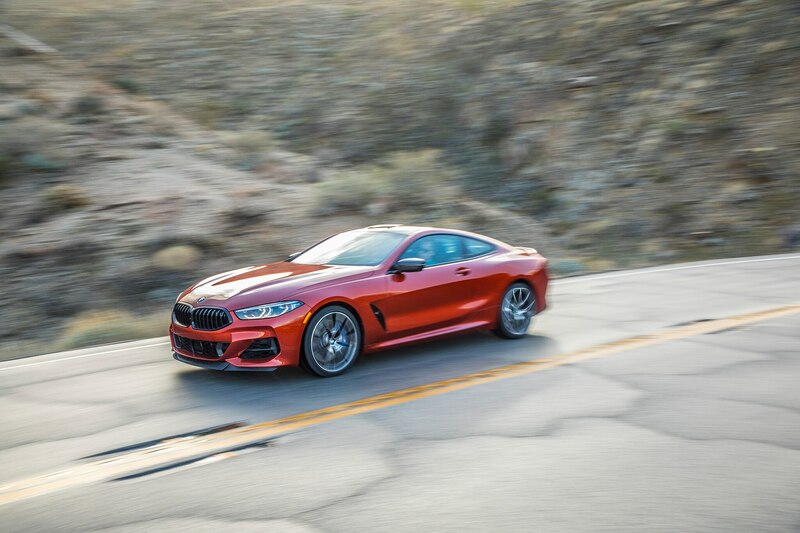 At the wheel of one of these big coupes, you are clearly The Man or The Woman; big coupes are extremely popular with the coterie of men and women who never go out in public less than impeccably and stylishly well turned out, and they always have been. 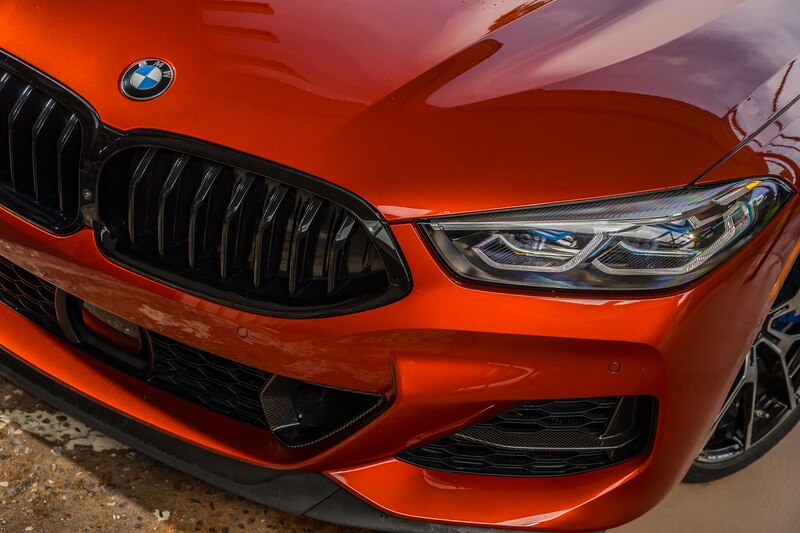 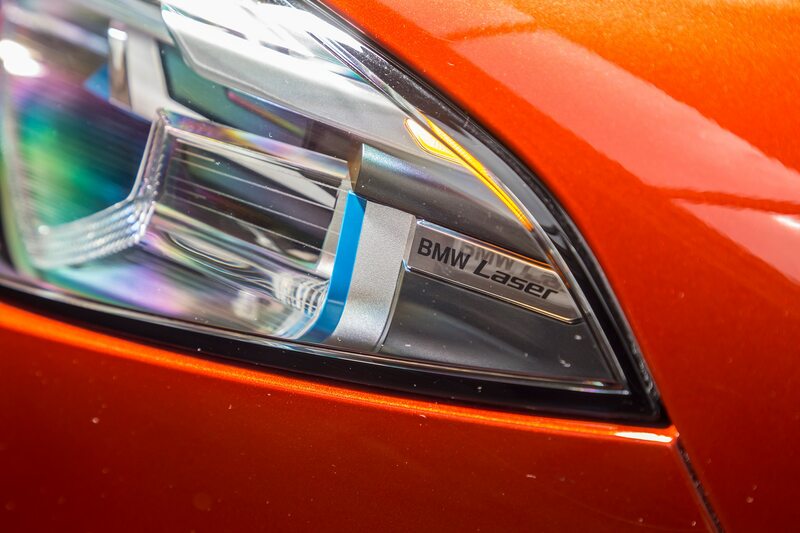 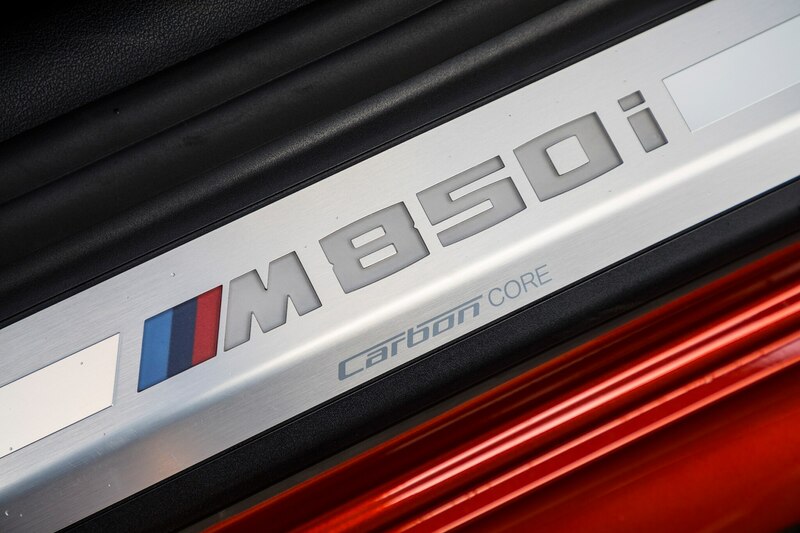 Stylistically this design does a fine job of maintaining marque identity with its distinctive twin-kidney grille, stretched out laterally and pointed in its vertical bars to make it different from other BMWs, and it retains strong suggestions of the traditional four-lens headlamp assemblies, though here they are flattened, faceted, and angled on their upper edges. 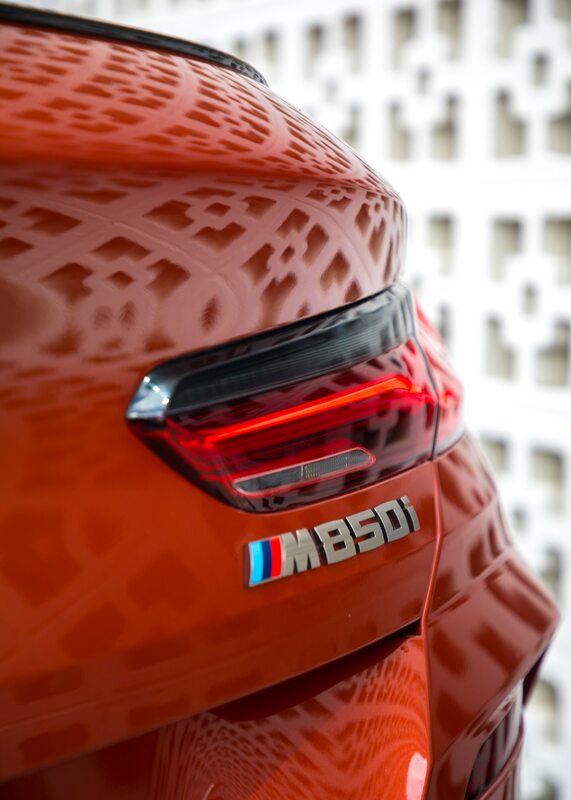 At the same time, there is a radical transformation of the wide profile. 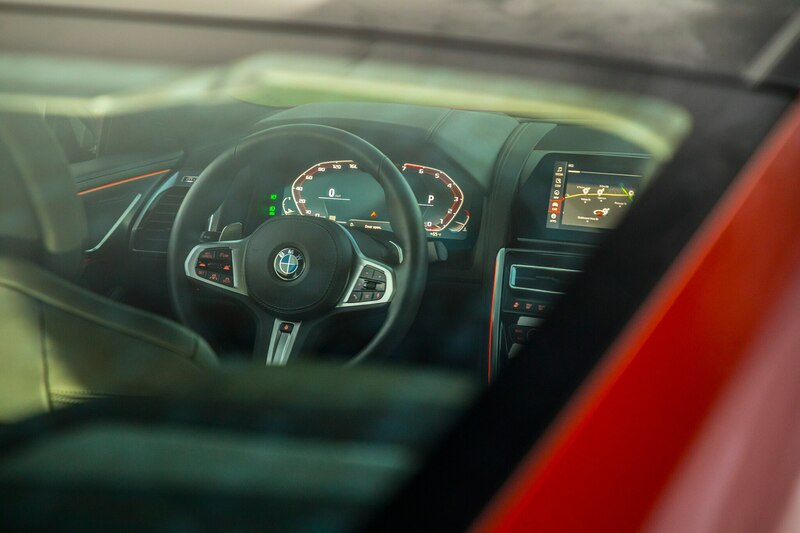 Metaphorically, the top is “chopped” far down from the glassy expanses of the BMW 2002 from long ago, and surprisingly, even almost shockingly, the famous and immediately identifiable “Hofmeister kink” found across BMW’s range at the rear of the side glass has been expunged, replaced with a long, pointed daylight-opening (DLO) profile that is, as Detroit bureau chief Todd Lassa energetically points out, almost identical to that of the Ford Mustang. 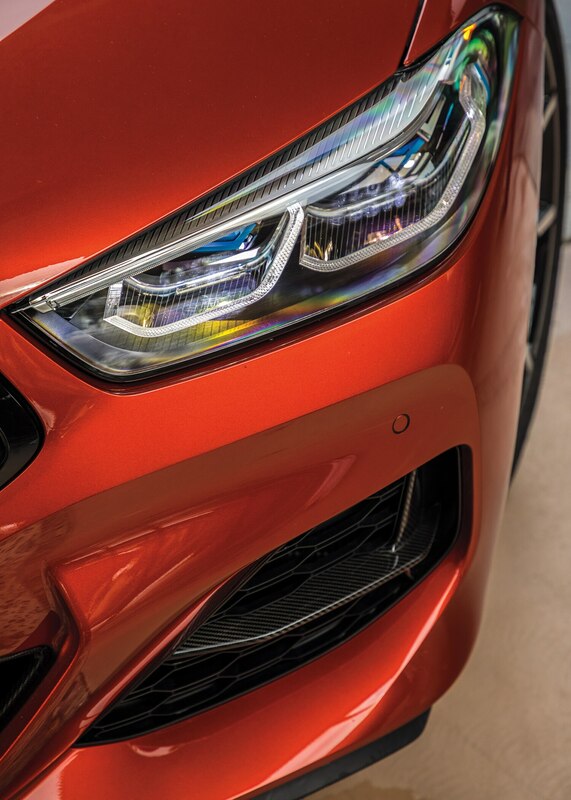 The two beautifully delineated concave sections on the outer third of the hood provide a directional center plane and disappear just before merging. 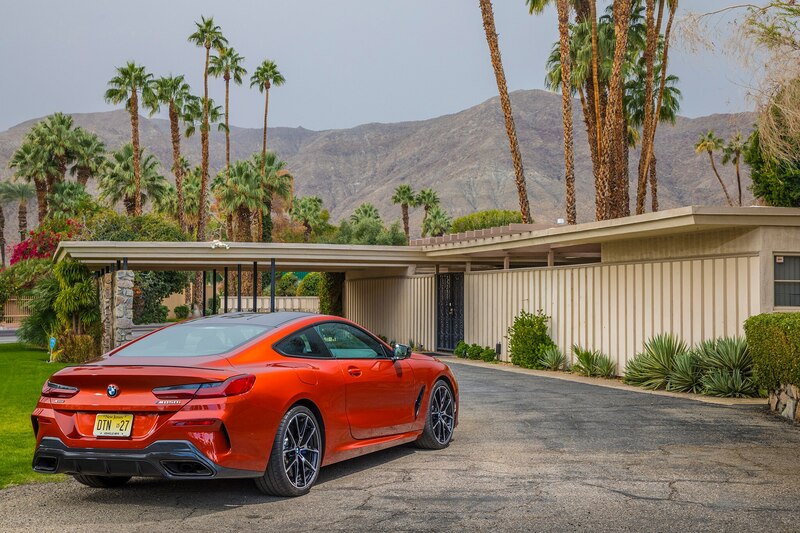 Some of the body side surfaces, especially in the very long doors, hew to the alternating convex-concave “flame surfacing” espoused by ex-BMW design boss Chris Bangle beginning in the 1990s. 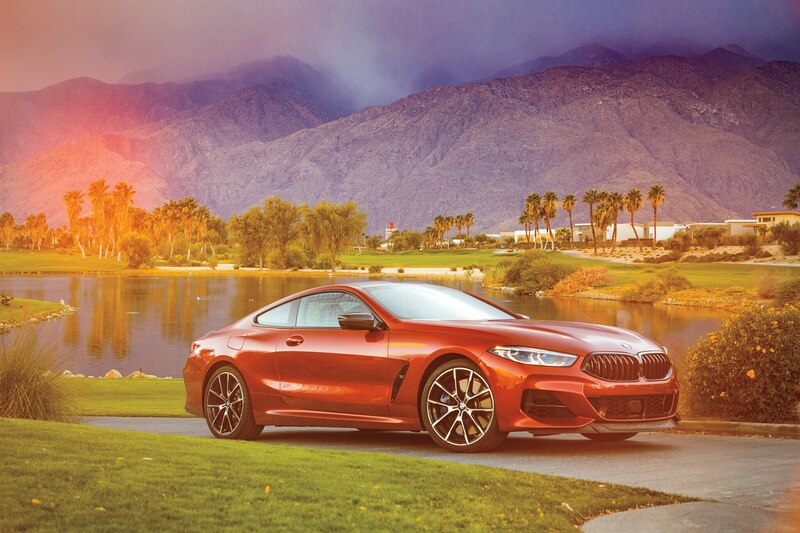 There are three positive peaks along the sides, none parallel to each other or to the ground plane. 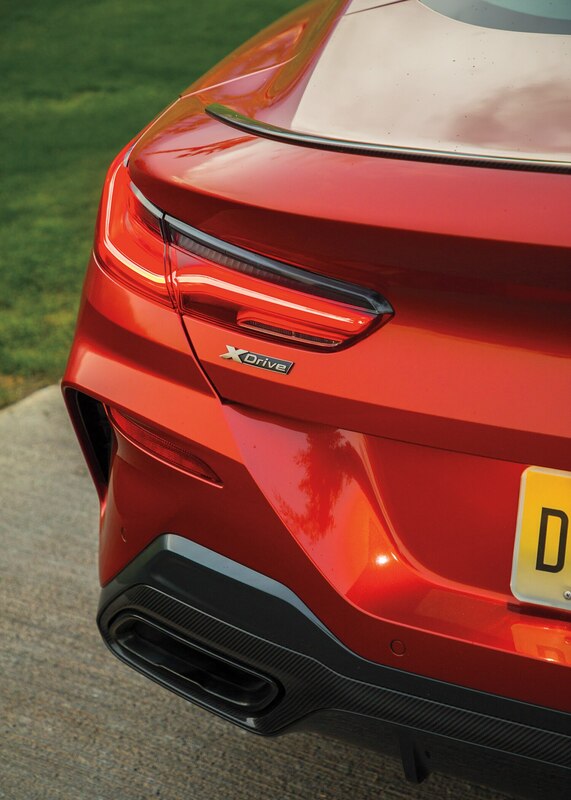 In fact the two in the door skins provide a sort of horizontal parenthesis, the one deriving from the diagonal slash air outlet in the front fender fading into the rear body skin while the upper one diffuses into the wheel cut. 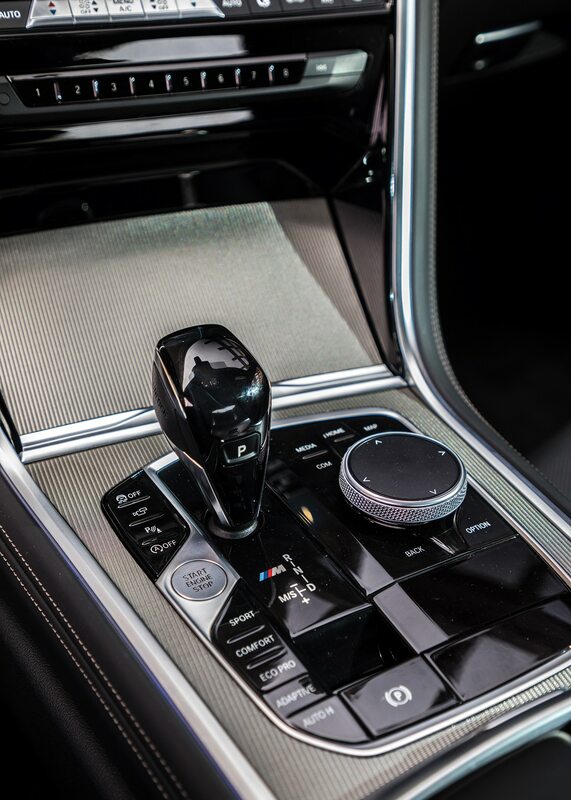 It’s all complex, a bit confusing, and definitely not at all traditional. 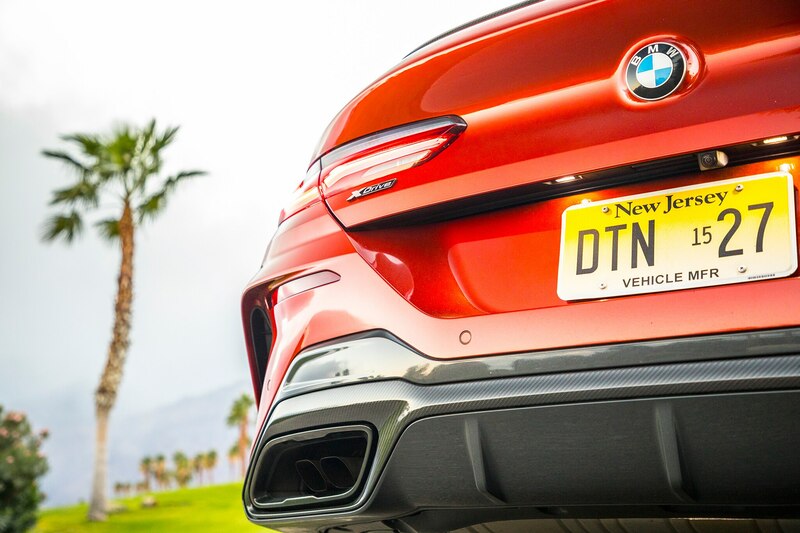 The rear fascia composition is also a bit confusing and complex, and there are at least nine strong horizontal lines across the tail, which has a large black section encompassing giant exhaust ports with a screened air outlet port between them. 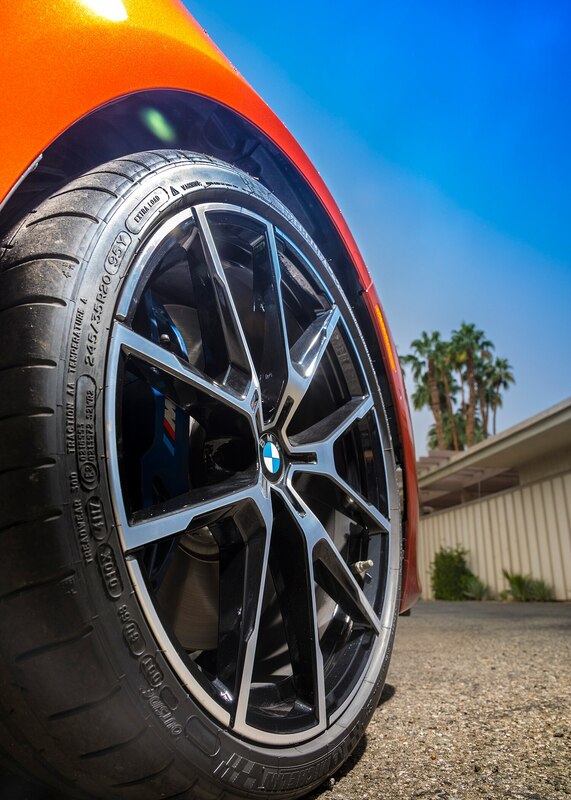 Vertical slots provide a clear demarcation between body side and the transverse face. 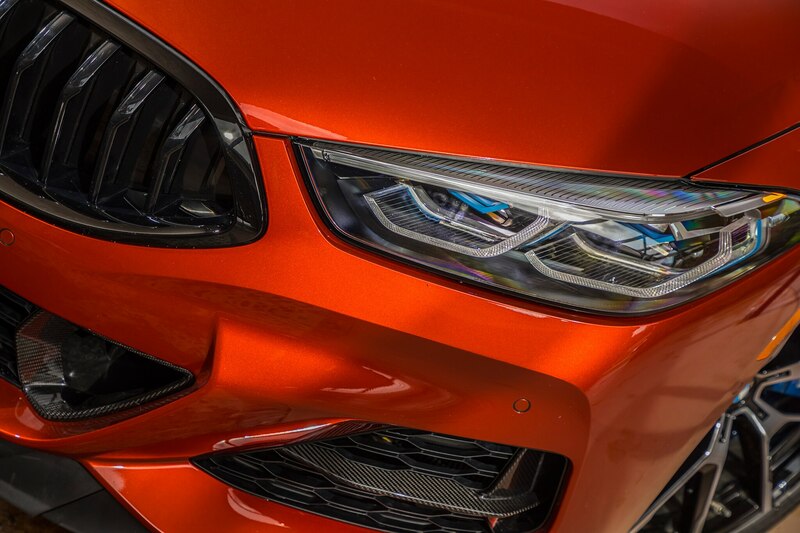 The front fascia composition, while still complicated and diverse in forms and textures, is more easily apprehended and understood in terms of the company’s design traditions and effect. 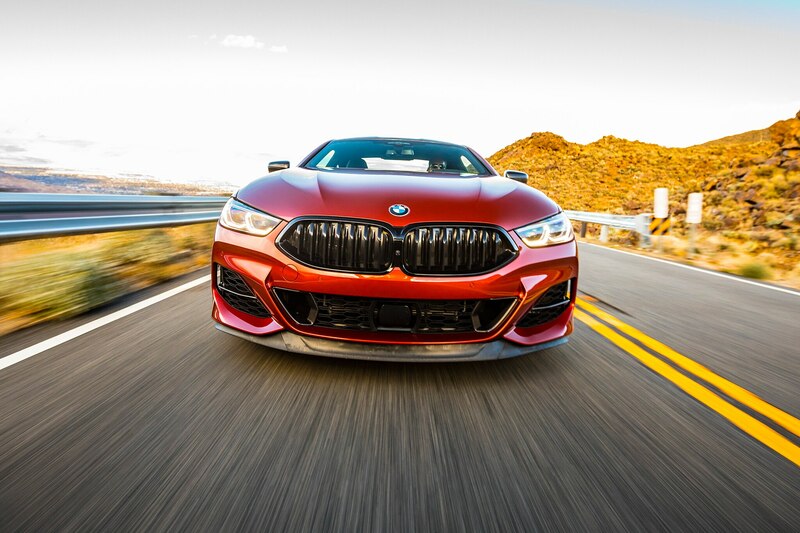 The grille, as noted, is different from previous incarnations, each half essentially a soft-cornered irregular pentagon. 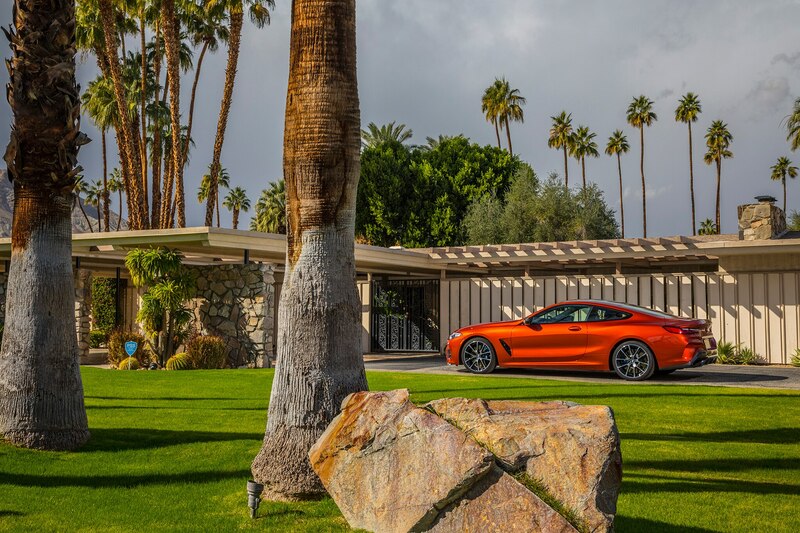 Below it reside four distinct panels, all textured, with the upper three framed by painted panels. 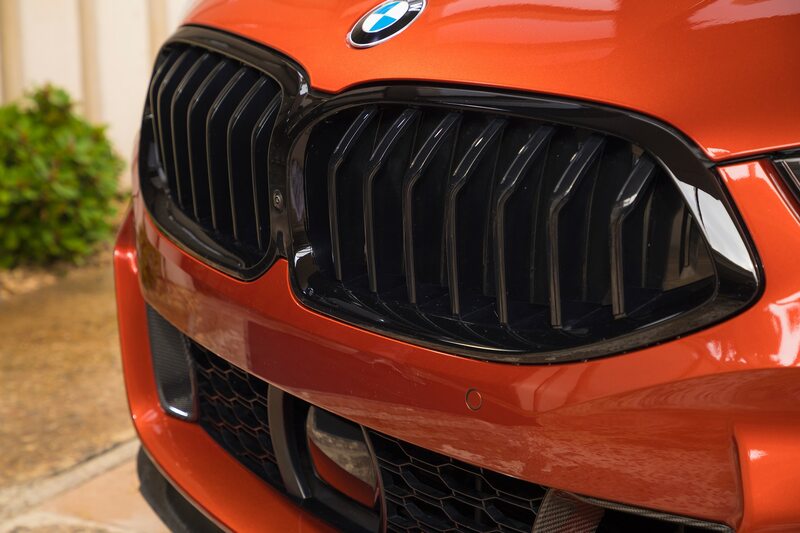 The lowest opening is entirely within a black section underlying the entire nose. 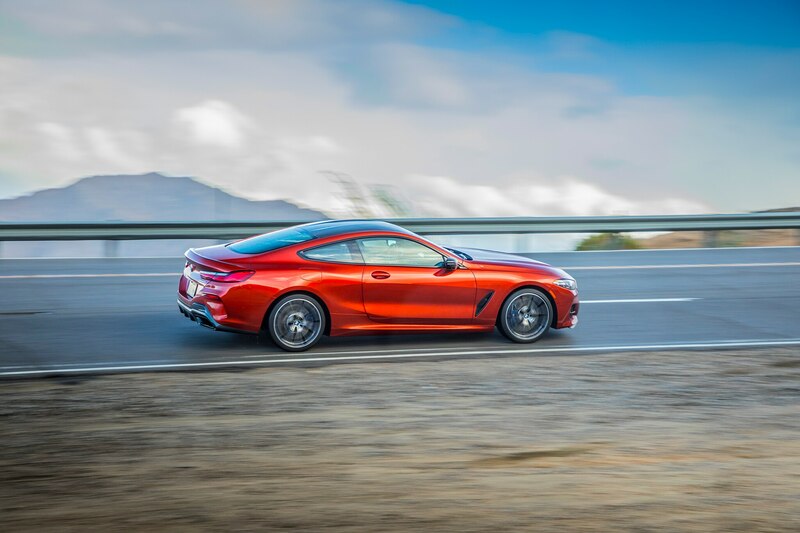 Something we find impressive, both visually and in terms of the exceptional metal pressing technology that makes it possible, are the two beautifully delineated concave sections on the outer third of the hood. 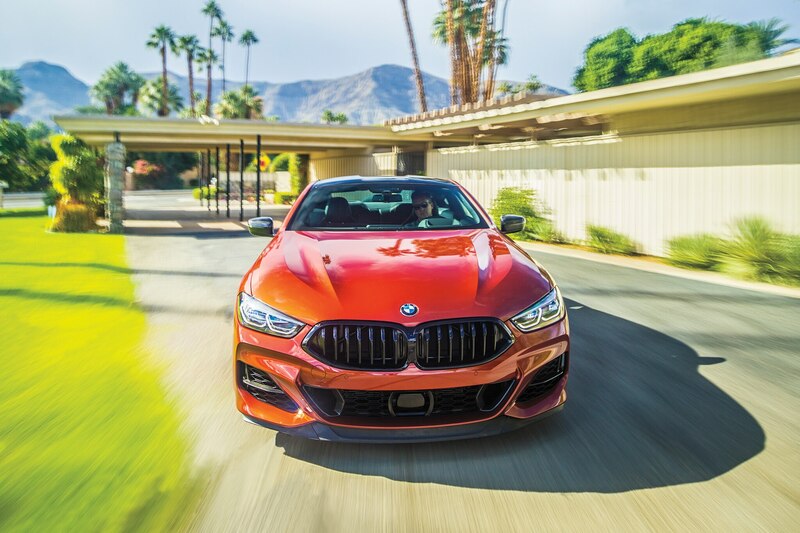 They provide a directional center plane for the hood, disappear just before merging, and allow a beautiful soft flow of sheetmetal into the grille’s upper outer corners. 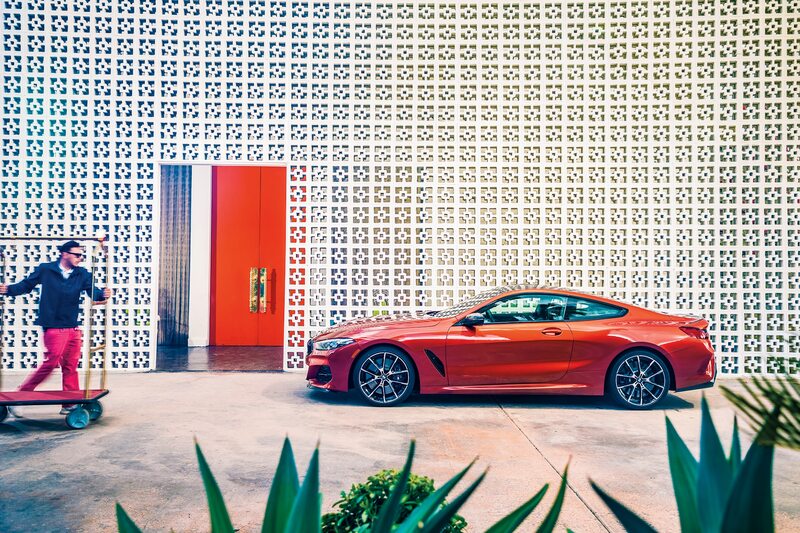 It is all subtle but masterfully executed—which is an appropriate summation of the entire Design of the Year. 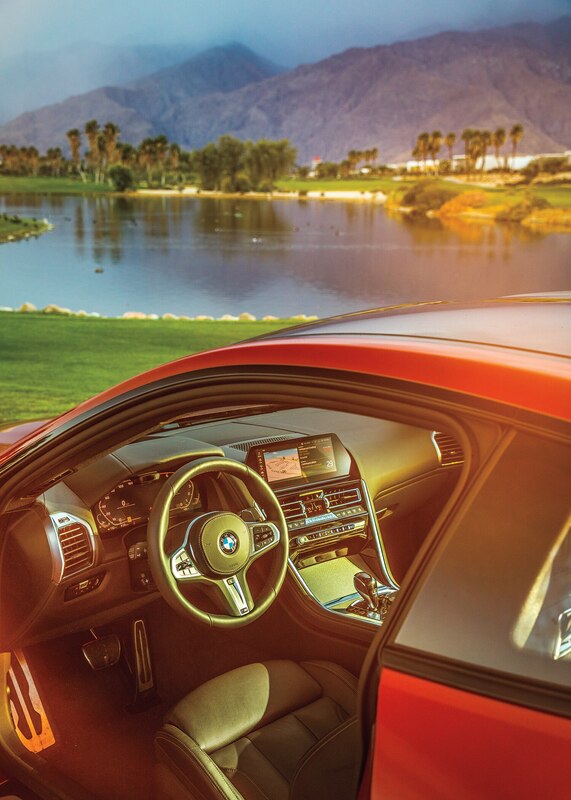 Special thanks to the Parker Palm Springs and Escena Golf Club.